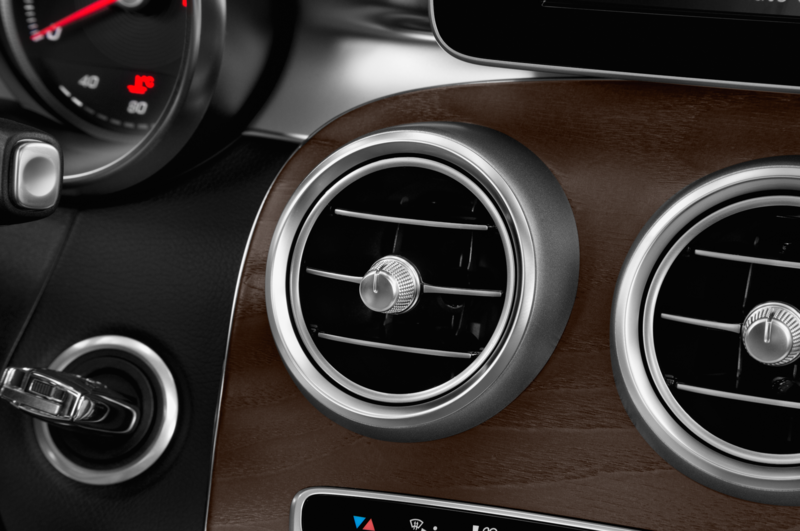 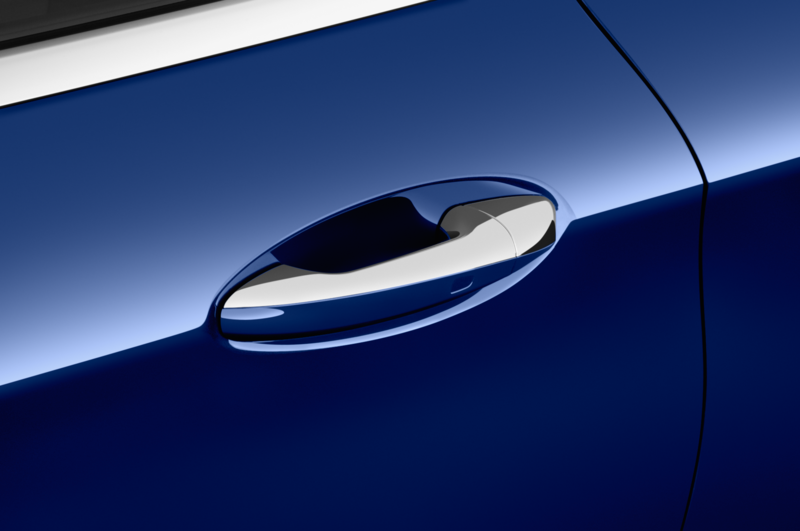 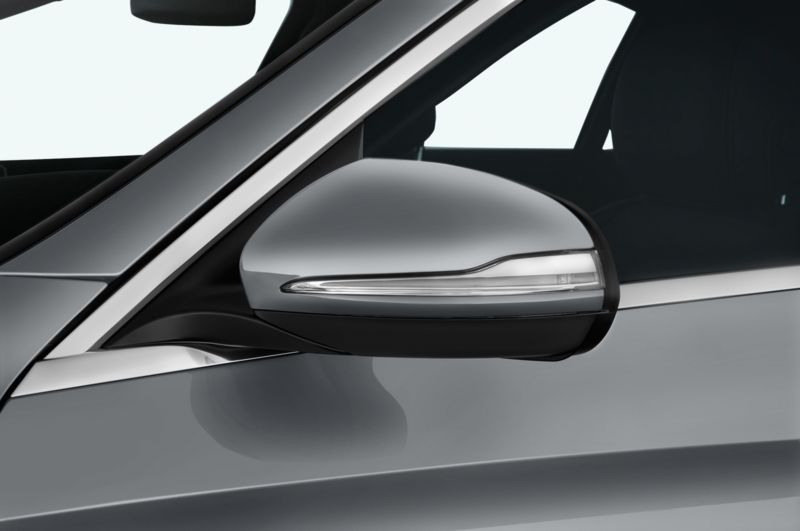 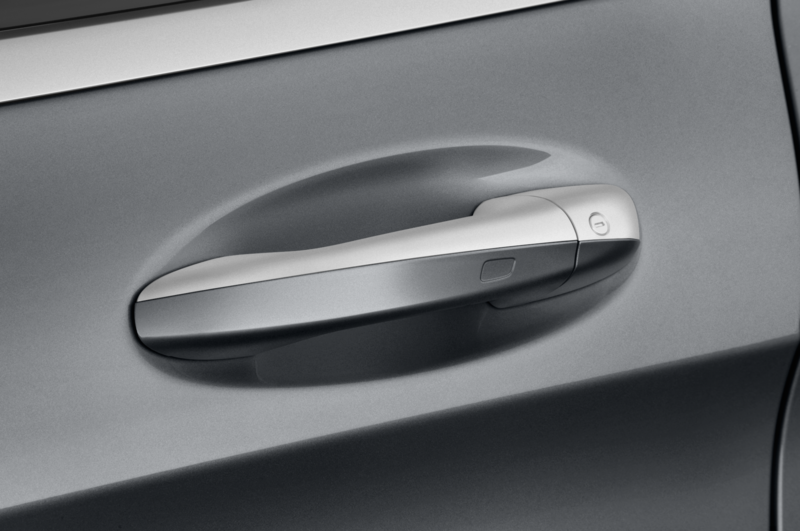 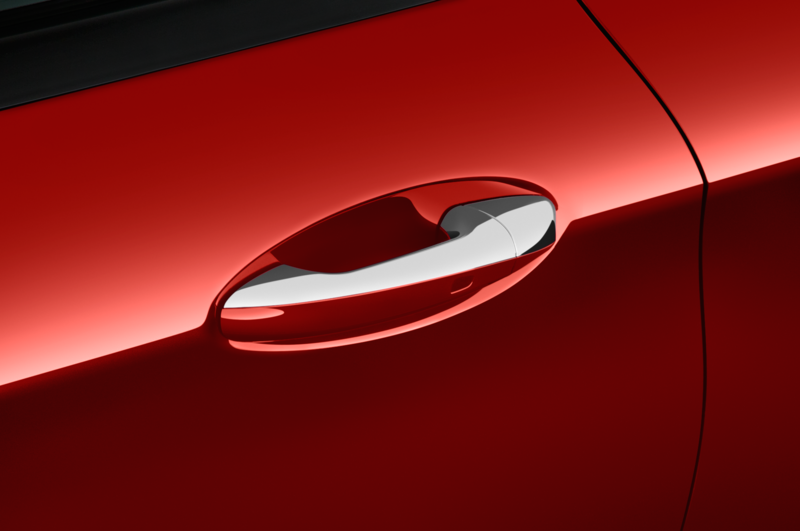 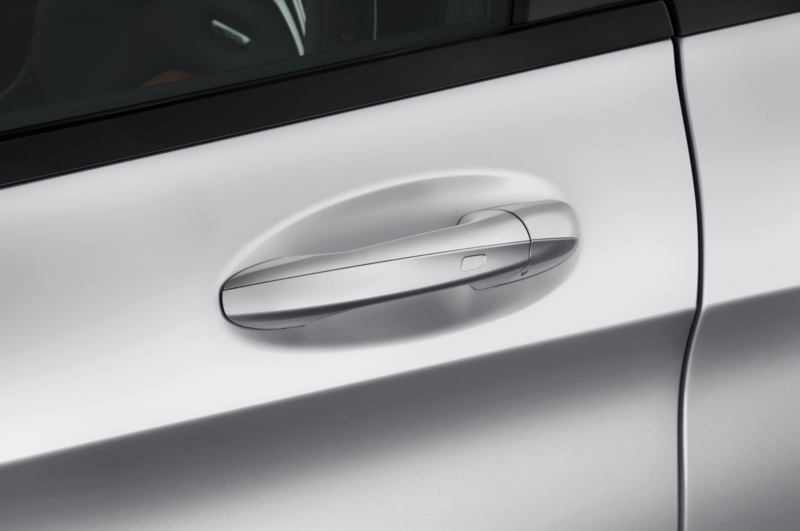 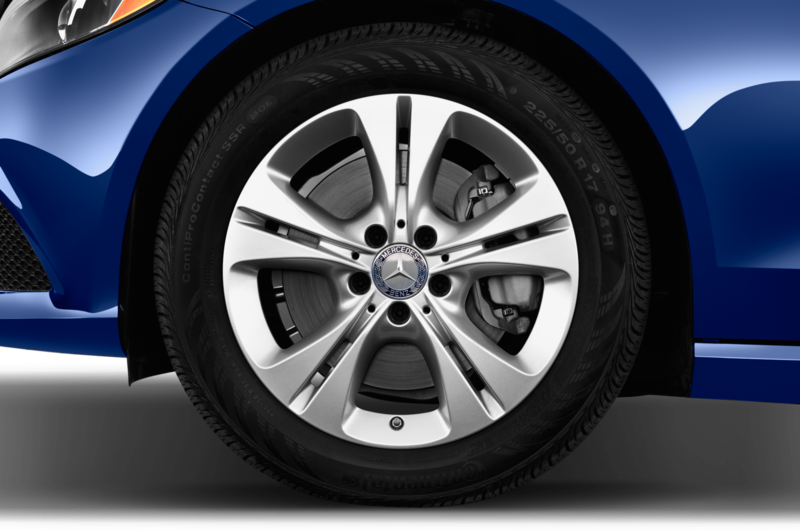 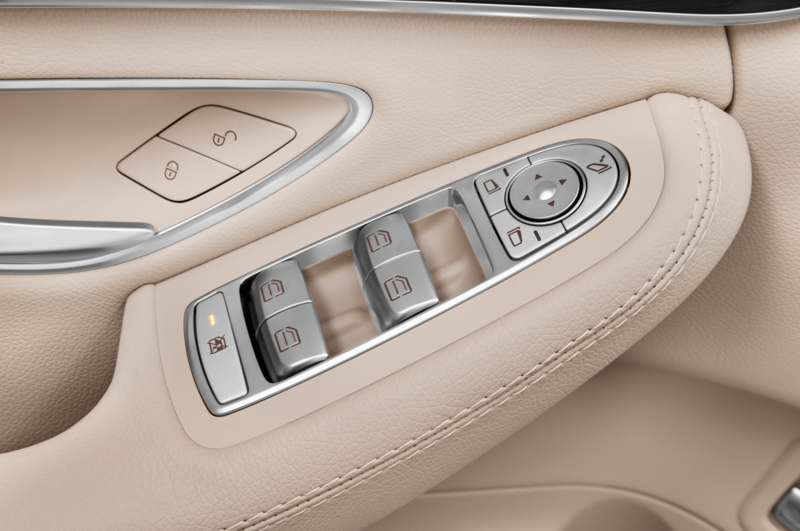 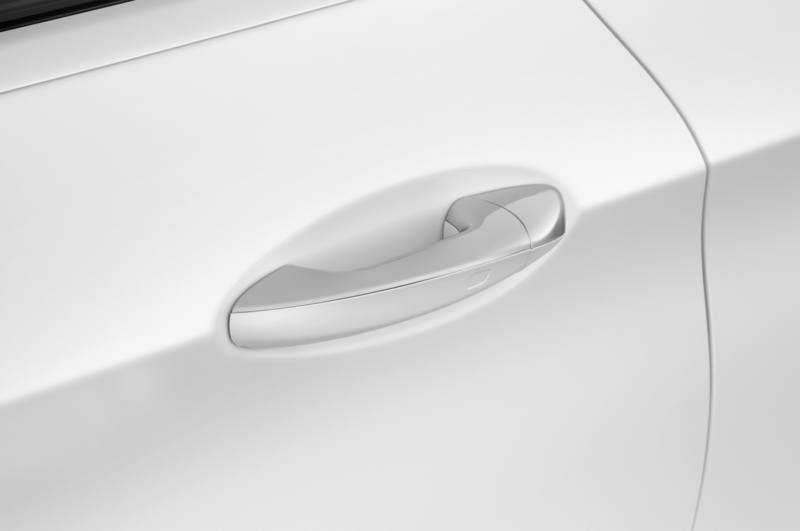 Think of it as a C63-lite. 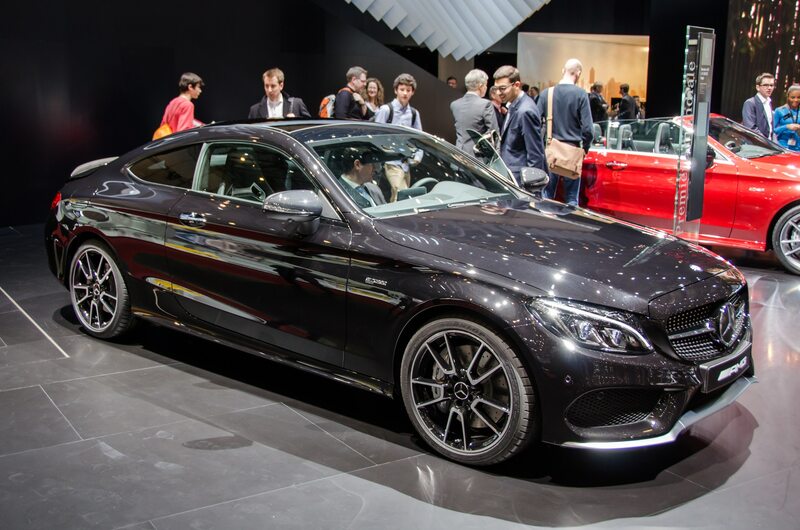 Joining its four-door sibling, the 2017 Mercedes-AMG C43 Coupe will storm into U.S. dealerships this fall. 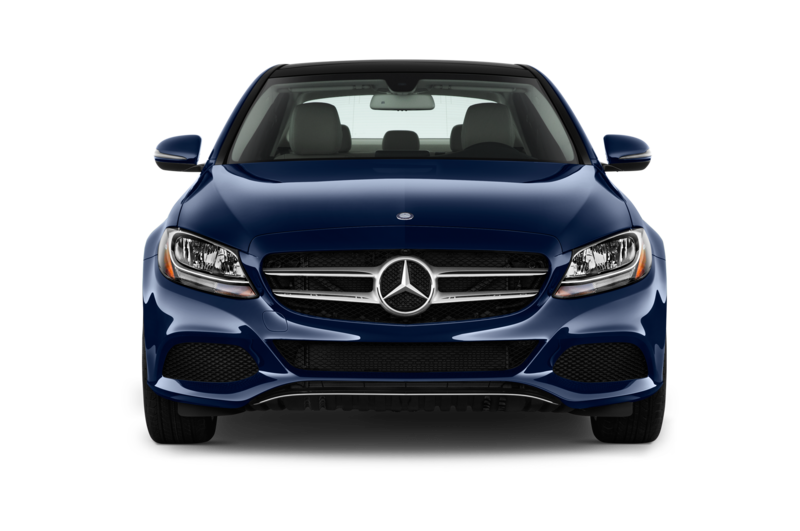 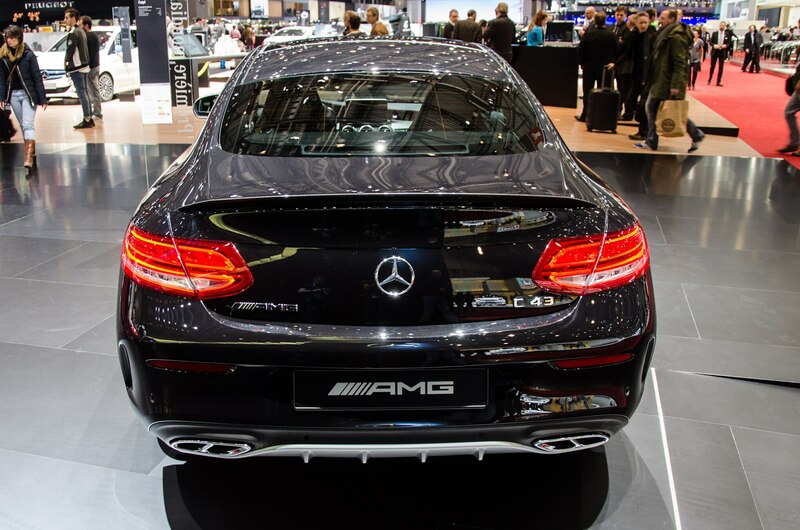 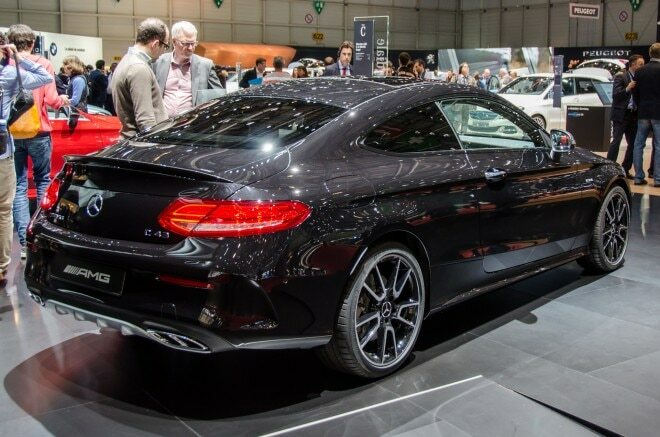 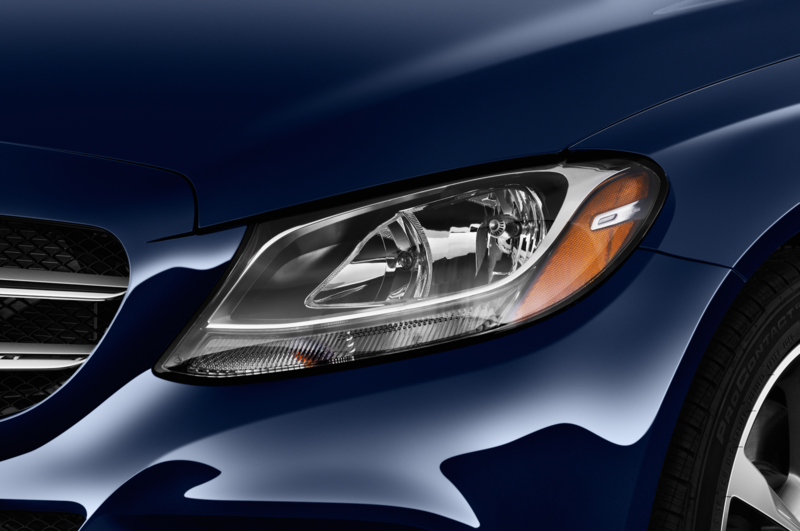 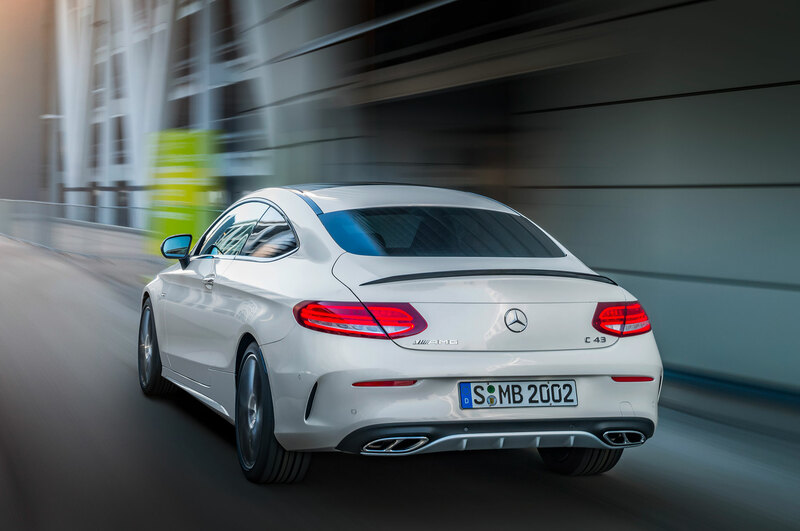 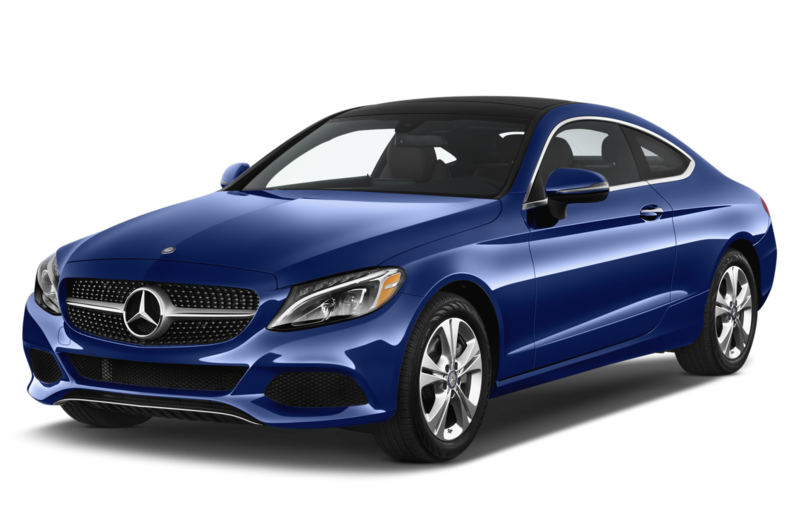 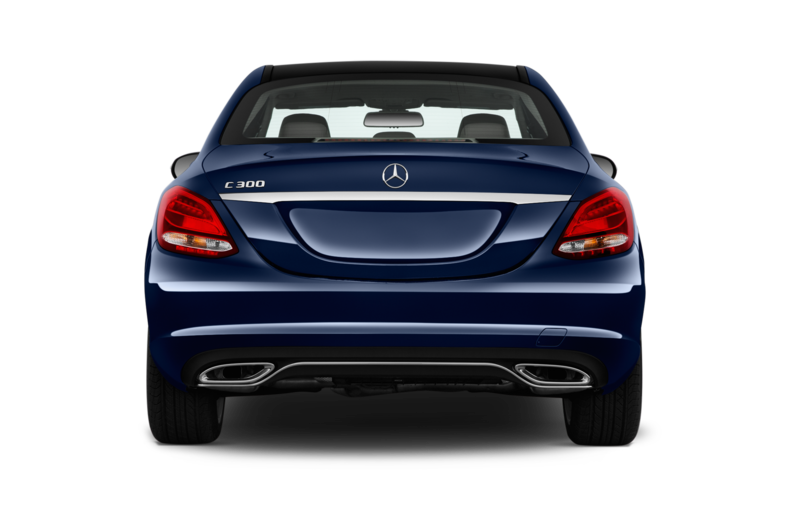 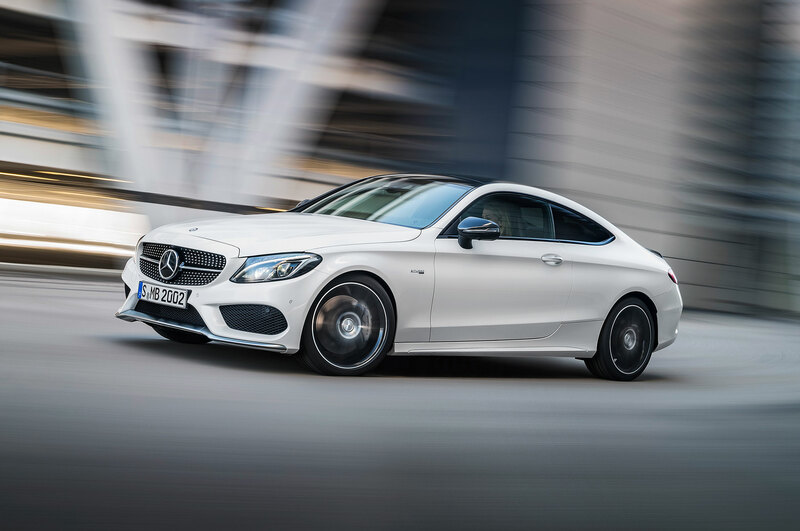 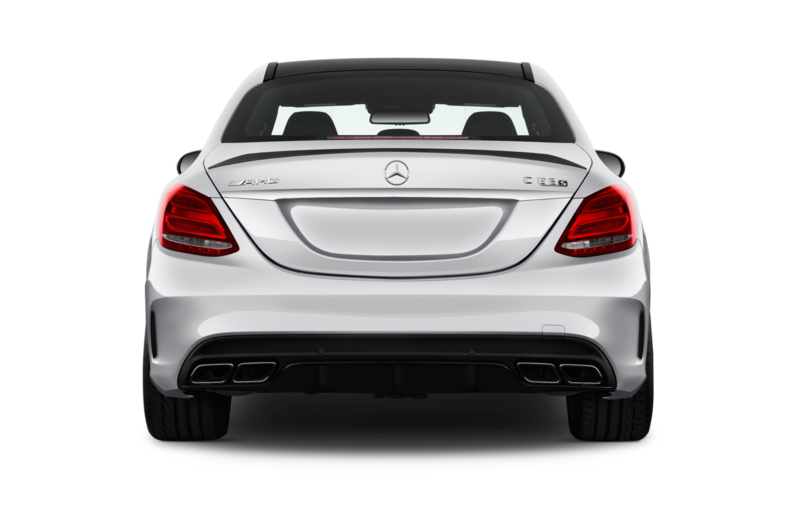 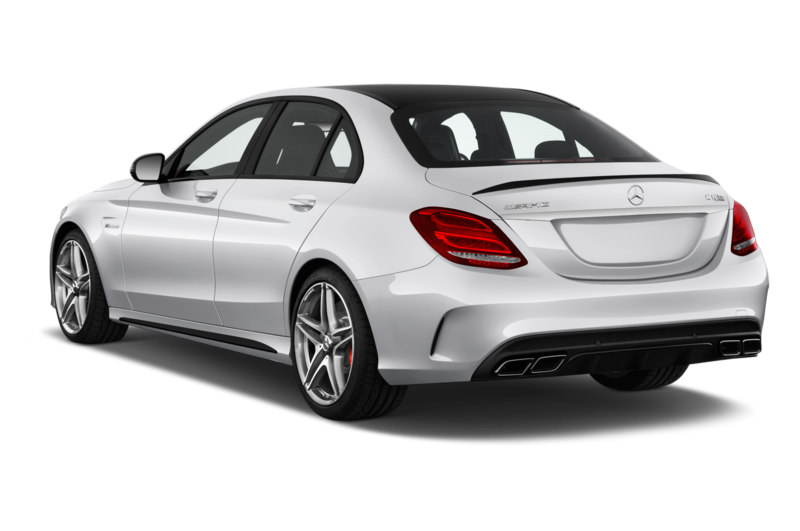 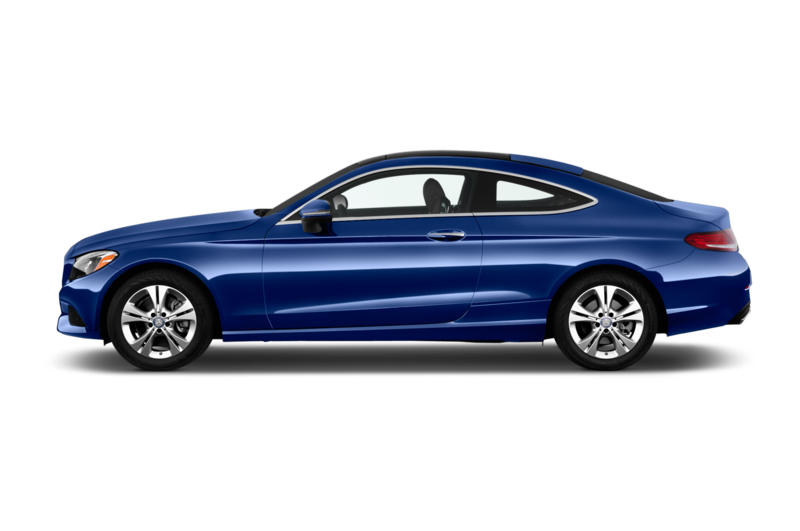 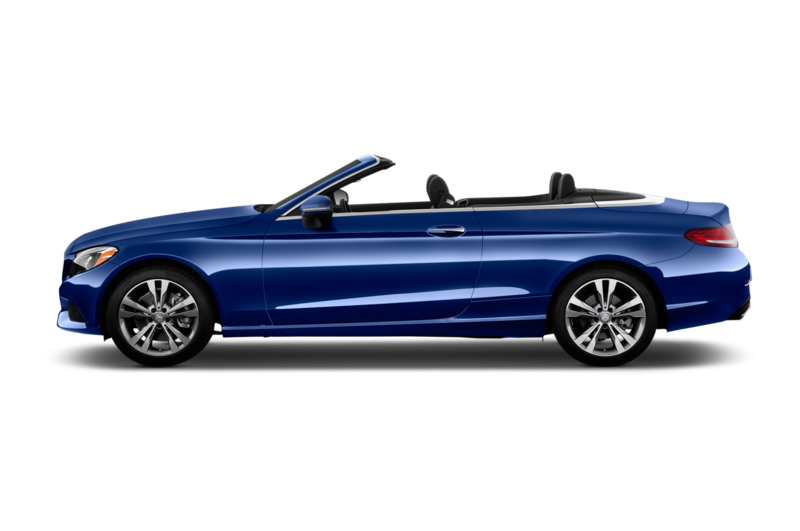 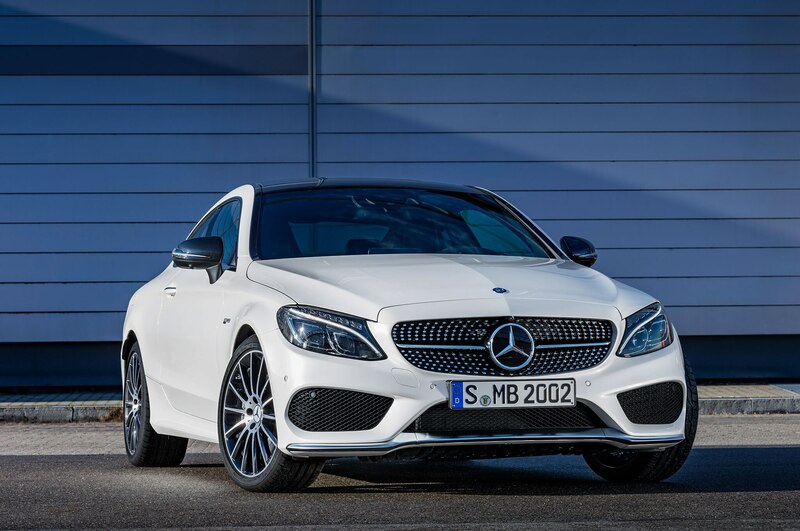 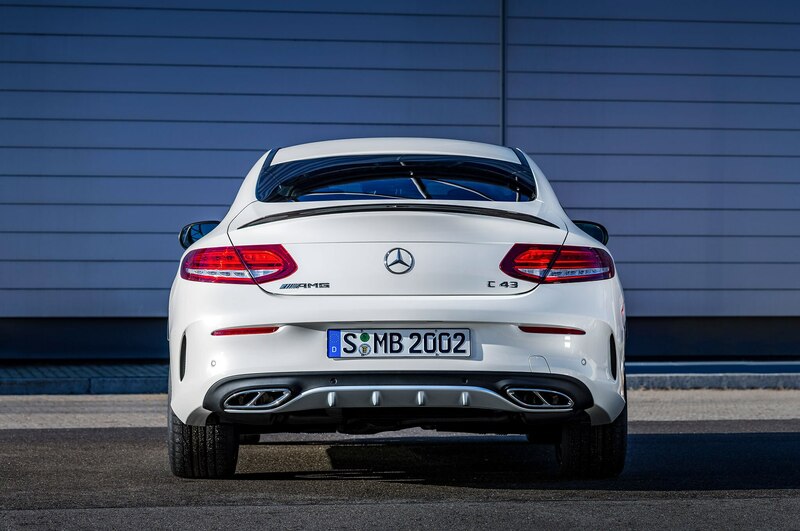 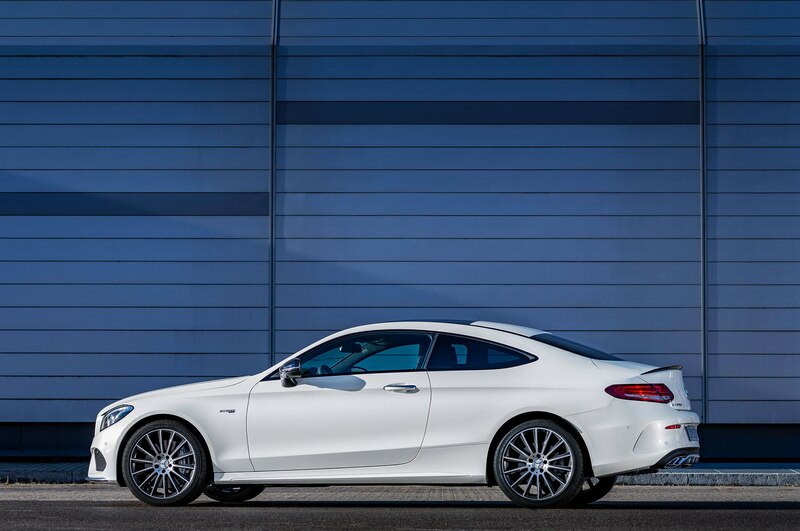 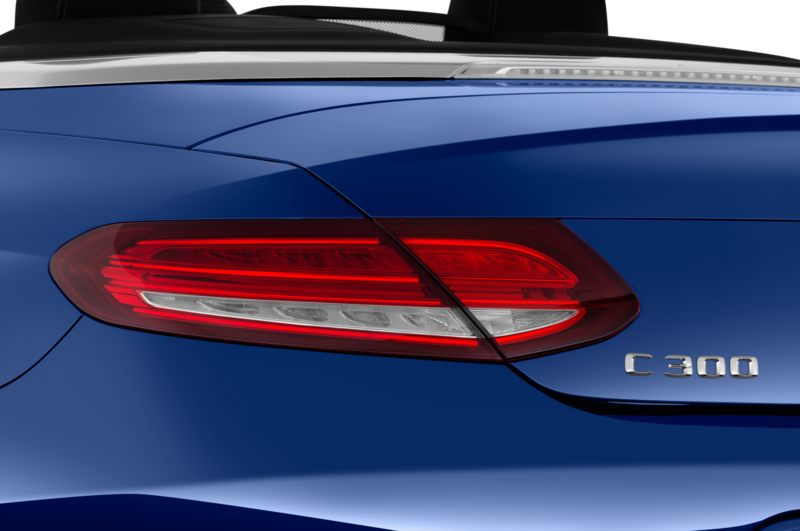 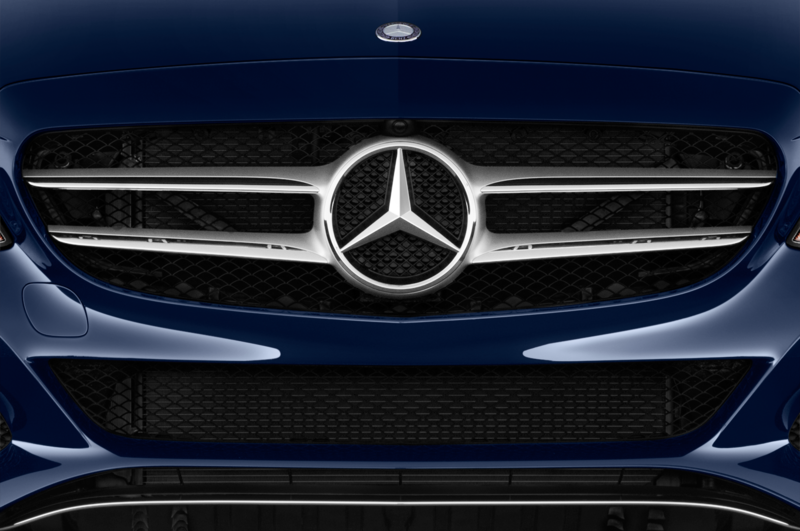 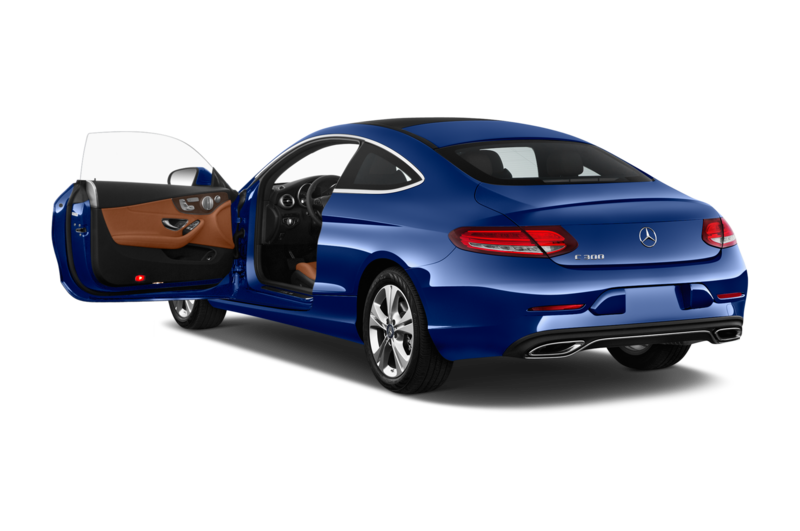 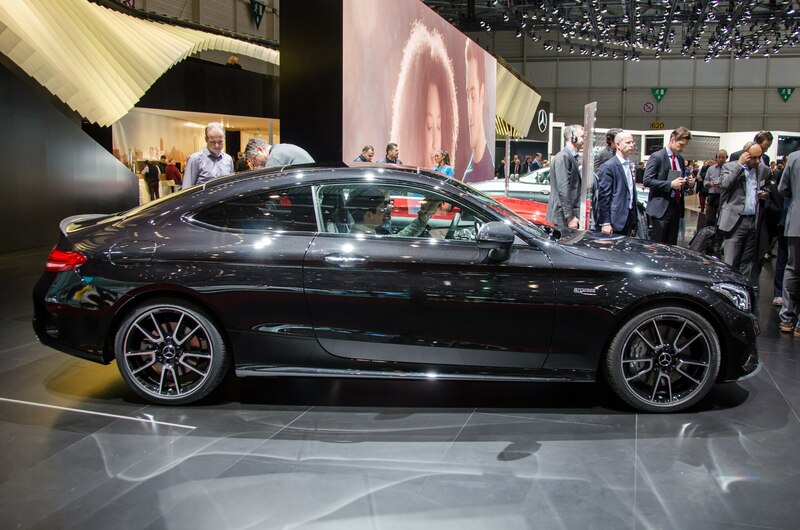 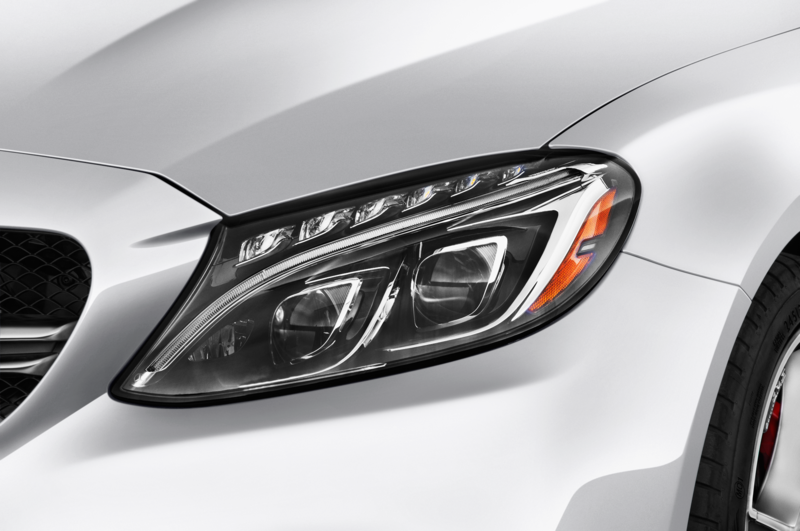 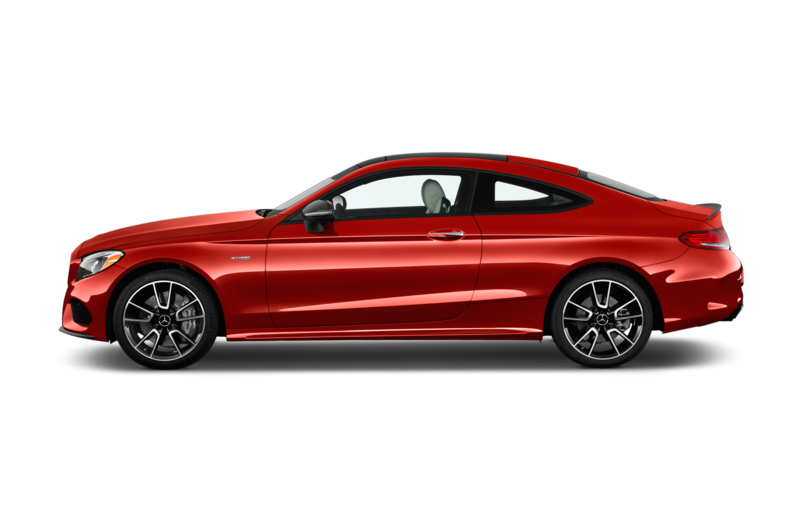 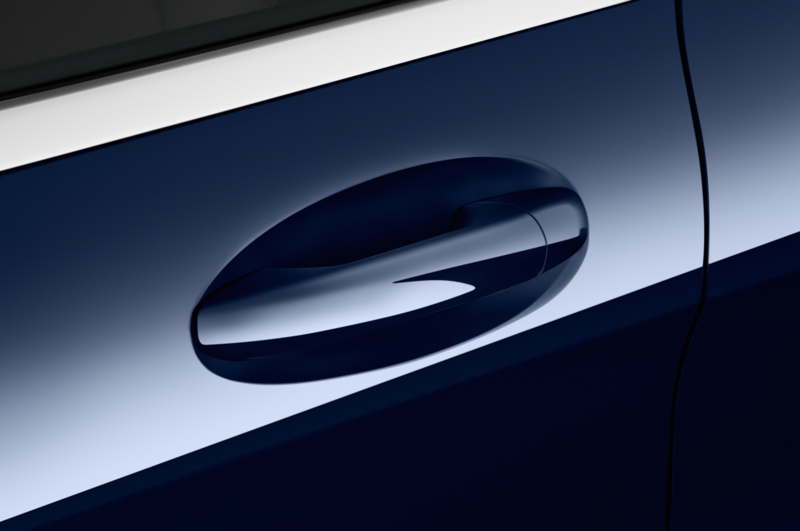 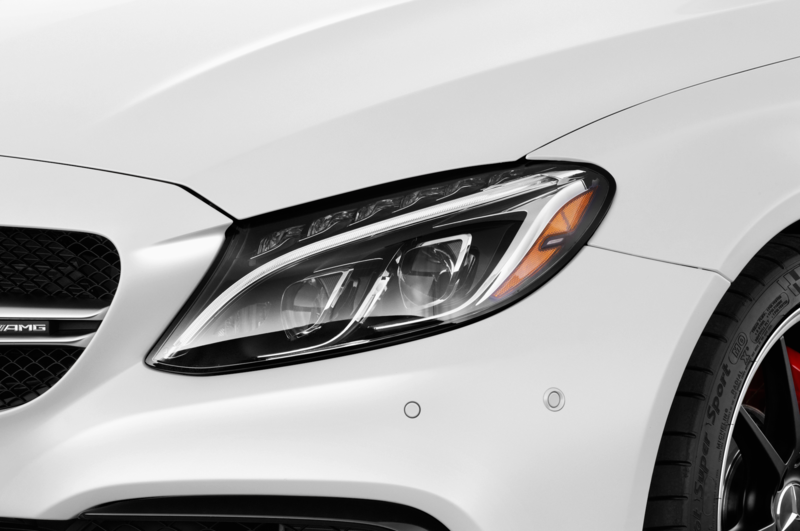 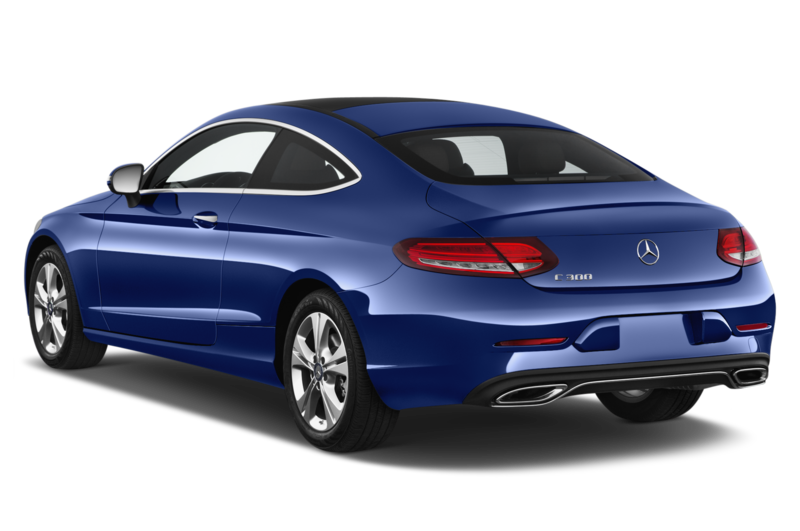 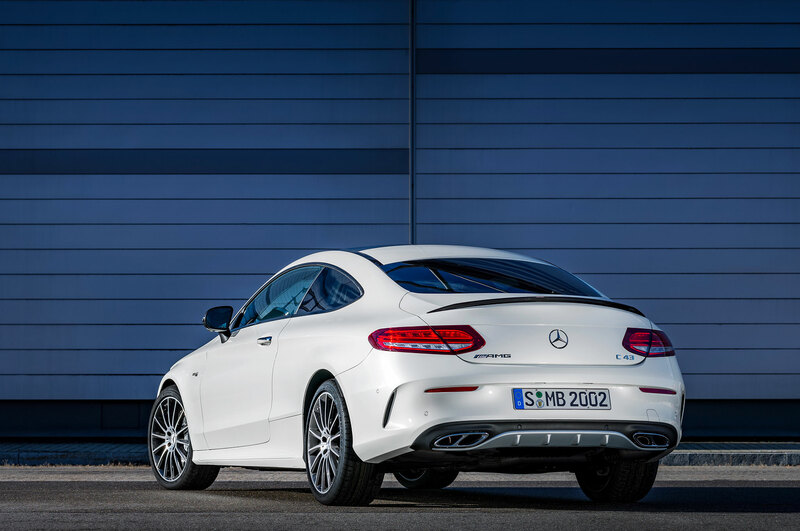 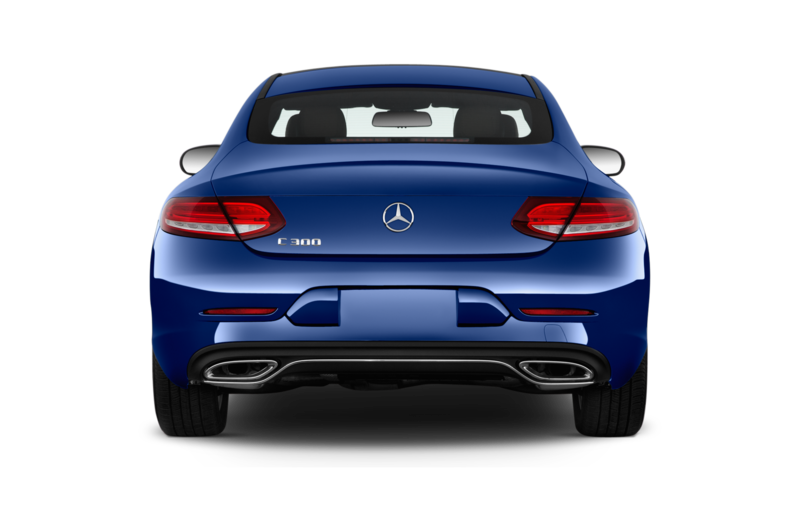 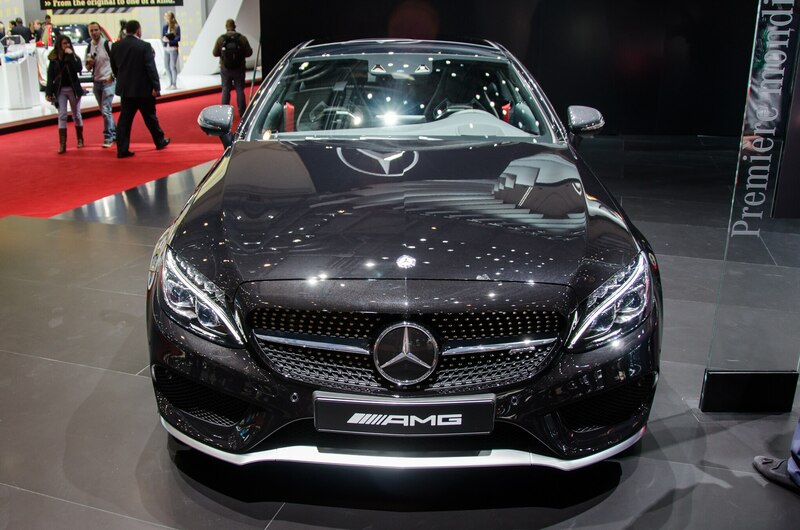 Just like the C43 sedan — which was originally called the C450 AMG Sport until Mercedes renamed those models — the C43 Coupe packs a 362-hp punch, putting it midway between a standard C-Class two-door and the wild C63. 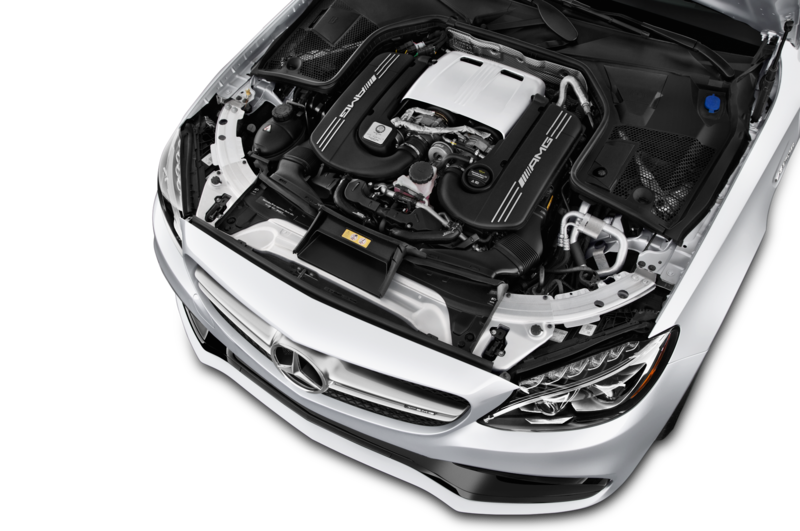 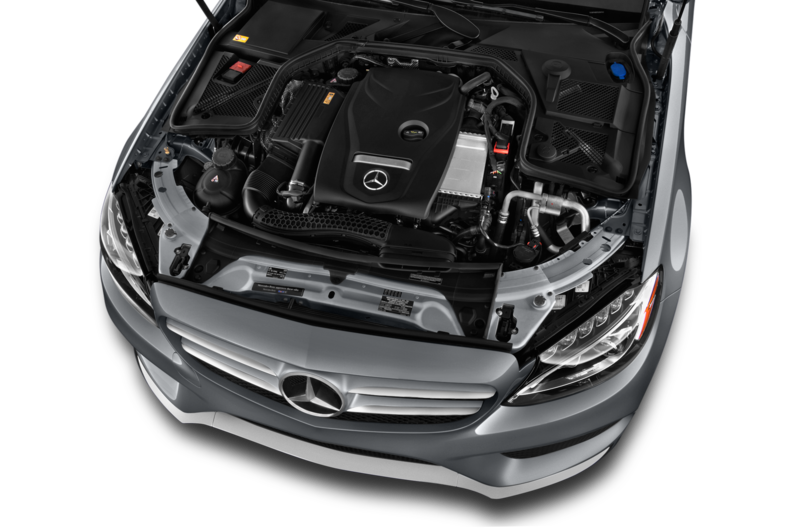 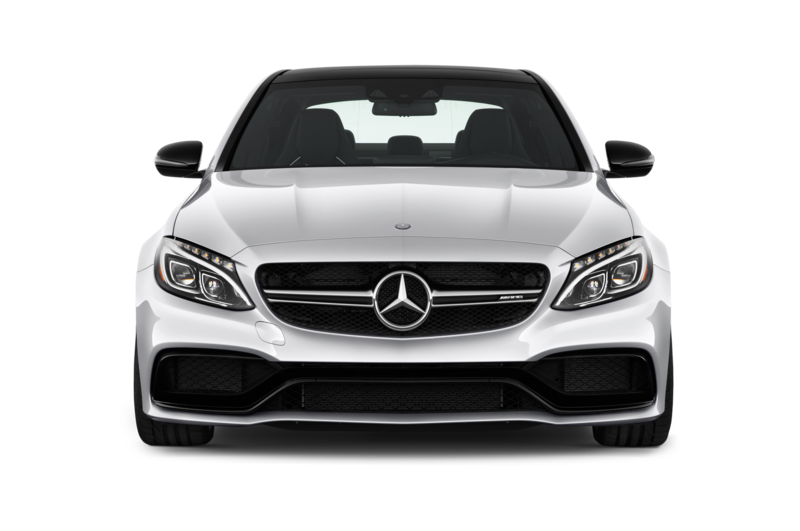 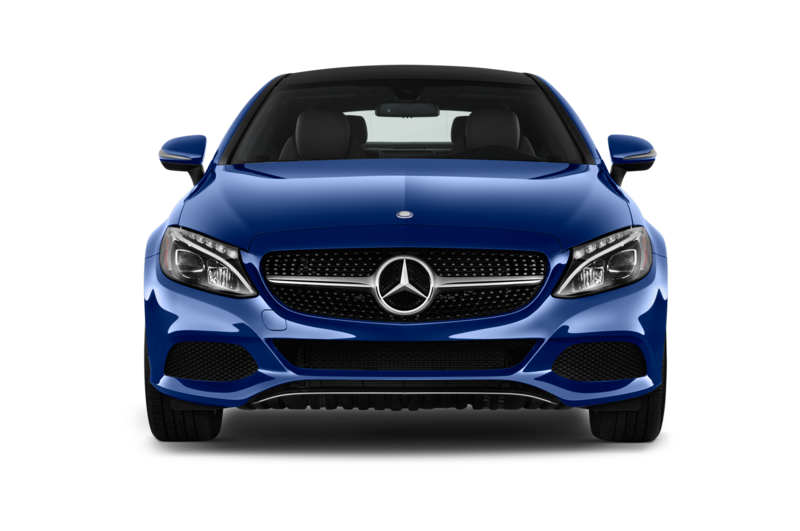 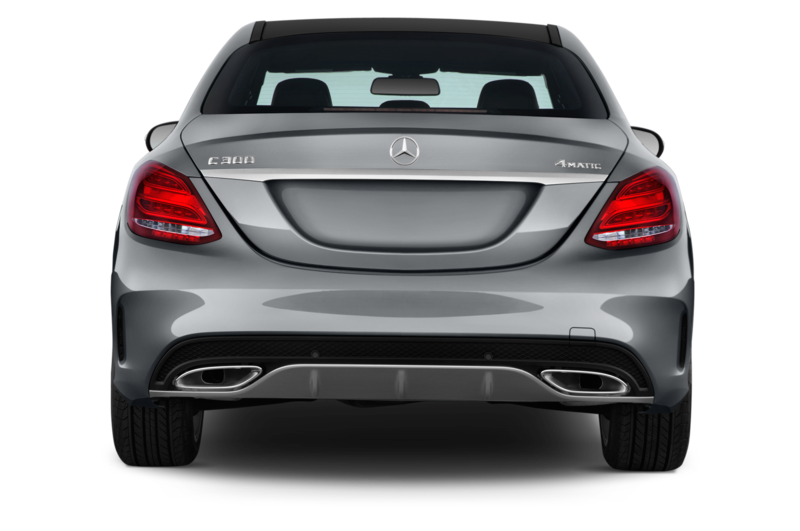 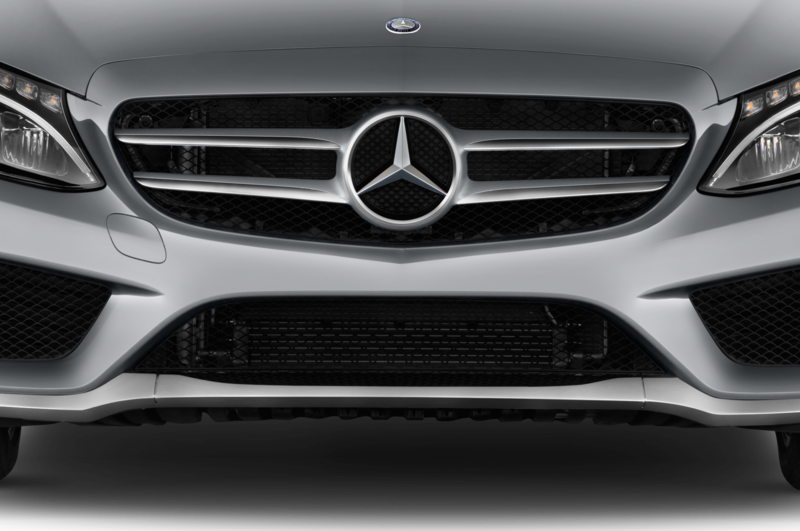 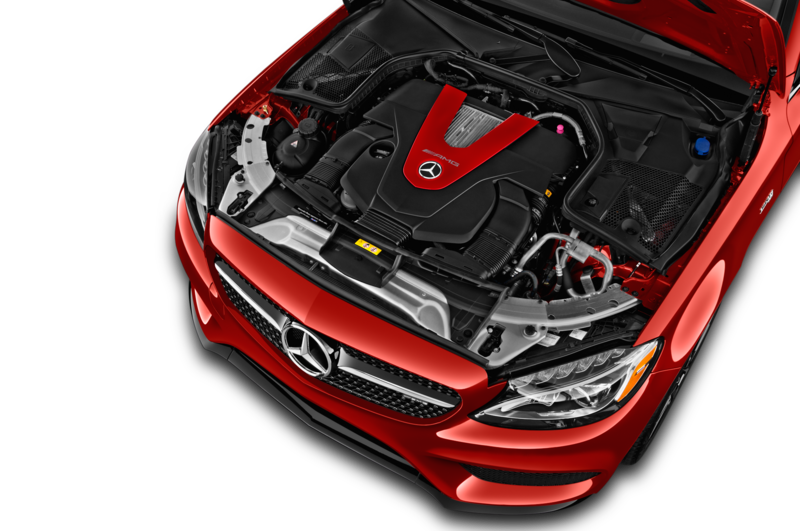 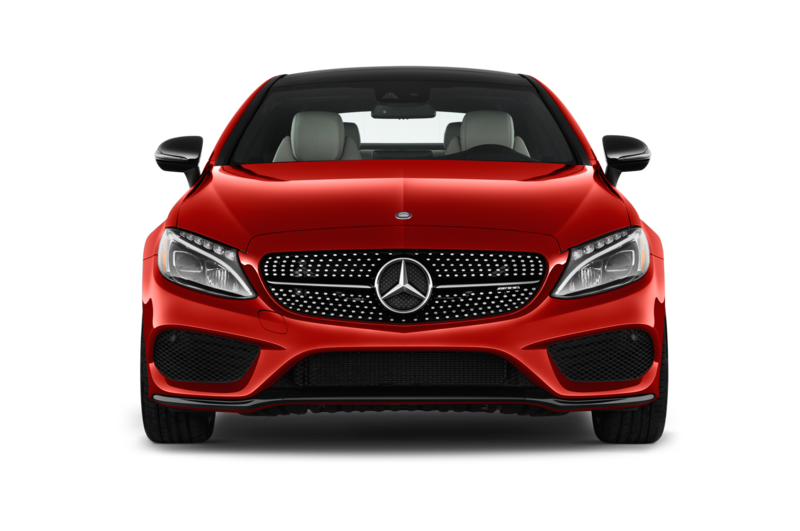 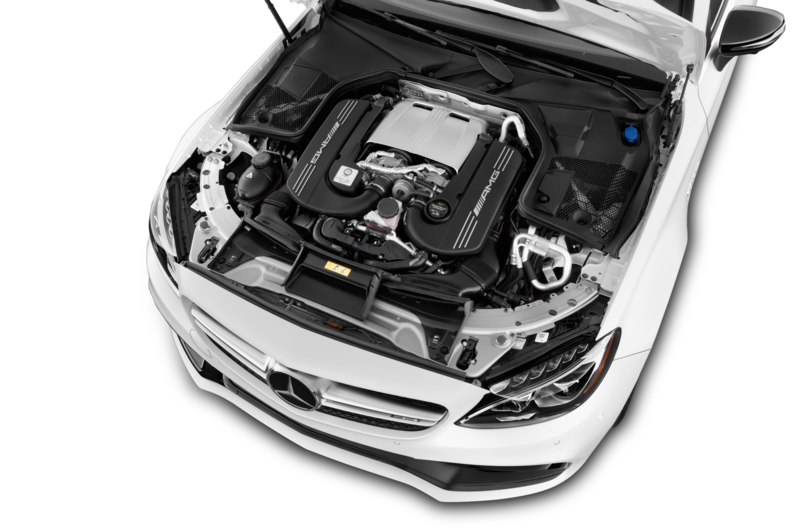 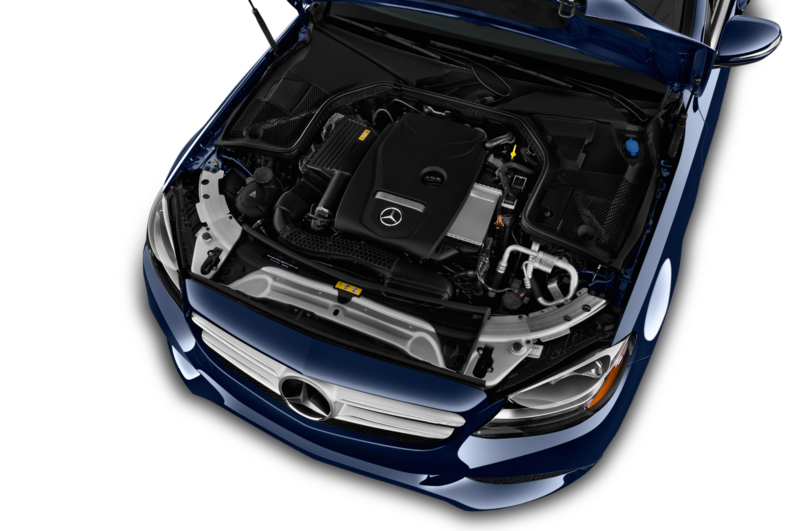 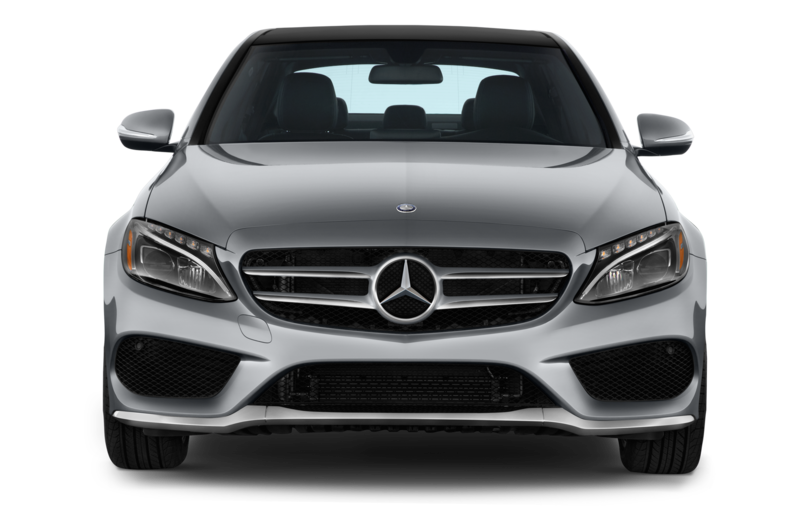 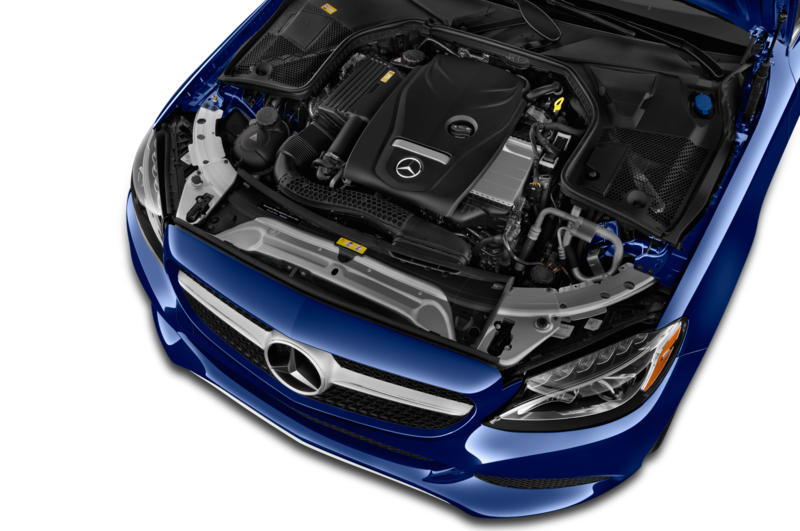 Under the hood, the 2017 Mercedes-AMG C43 Coupe packs a familiar 3.0-liter twin-turbo V-6, delivering 362 hp at 5,500 rpm and 284 lb-ft of torque from just 2,000 rpm. 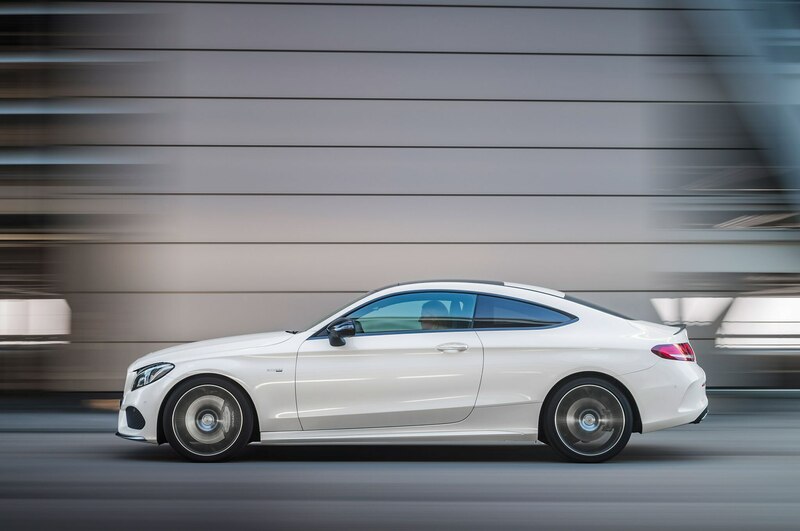 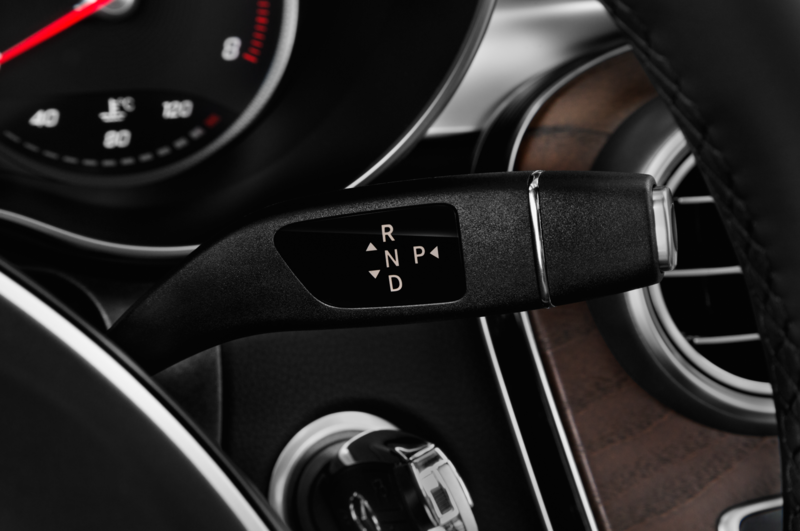 With a nine-speed automatic transmission sending power to all four wheels, the C43 scoots to 60 mph in 4.6 seconds and runs into an electronic limiter at 155 mph. 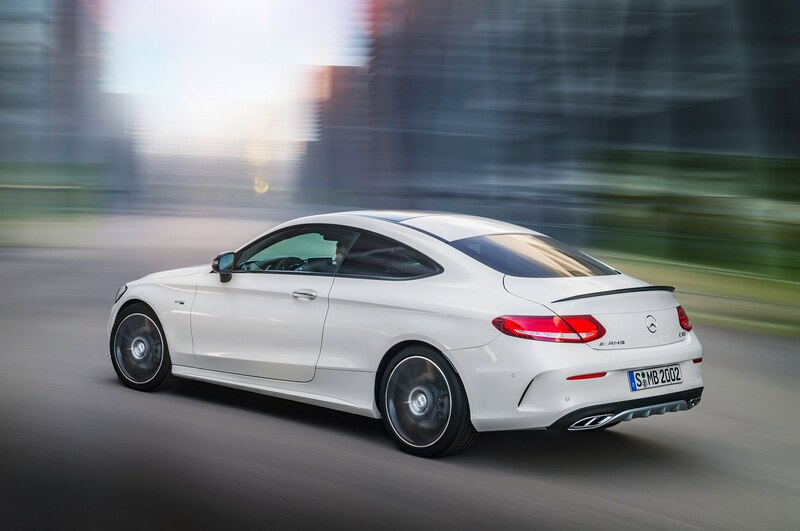 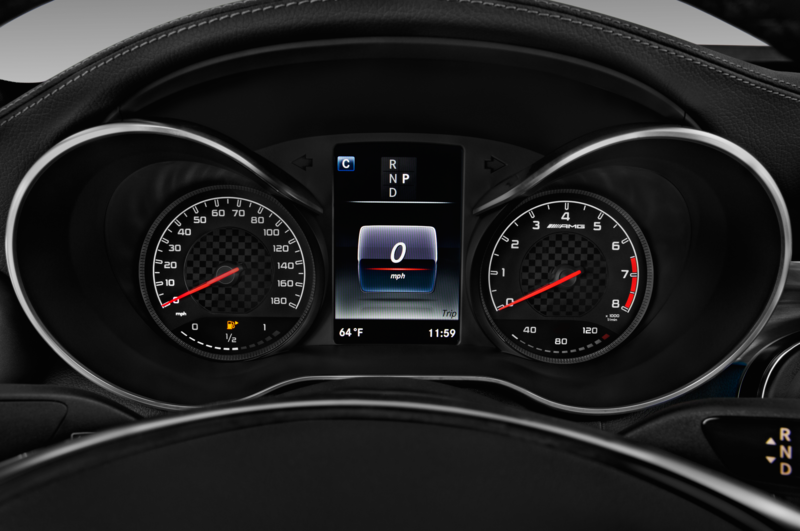 The 469-hp C63 Coupe, meanwhile, does the same dash in 3.9 seconds, and the more potent, 503-hp C63 S manages it in just 3.8 seconds. 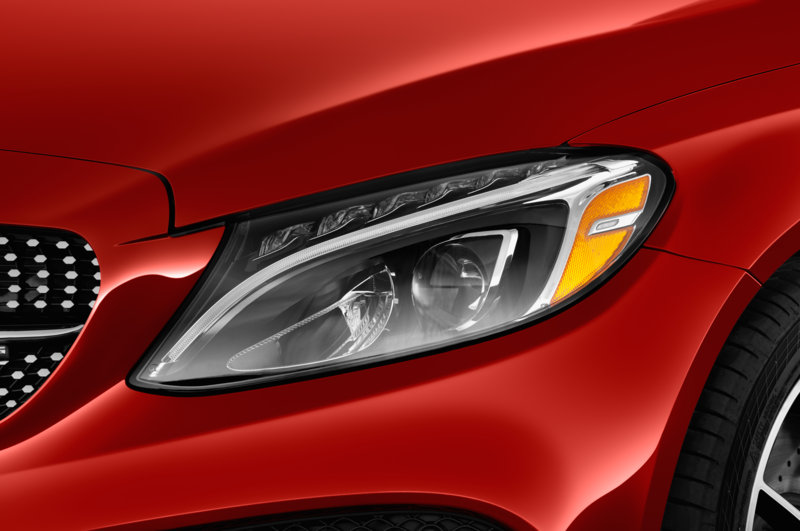 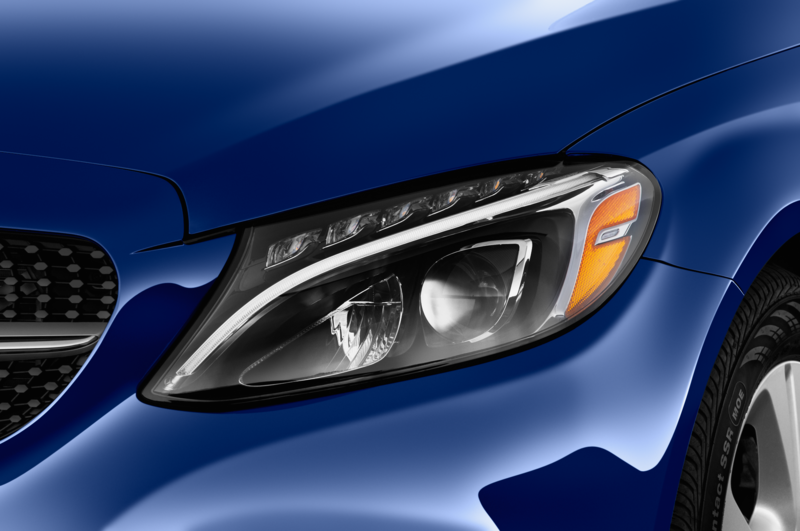 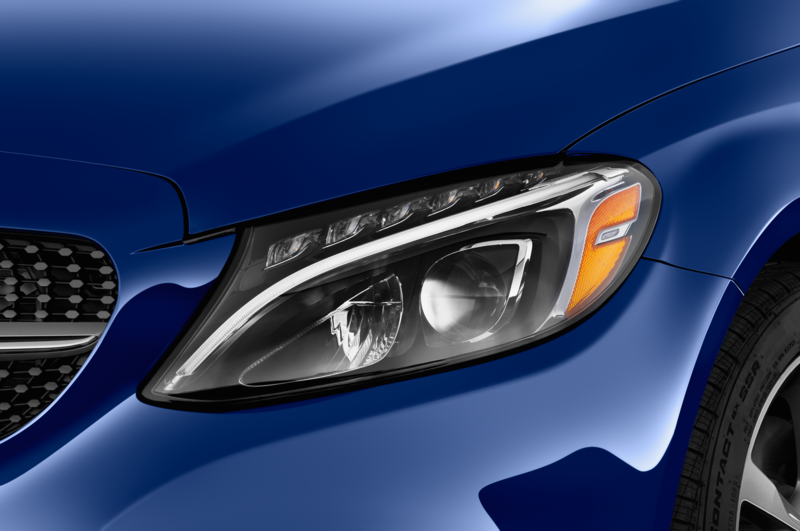 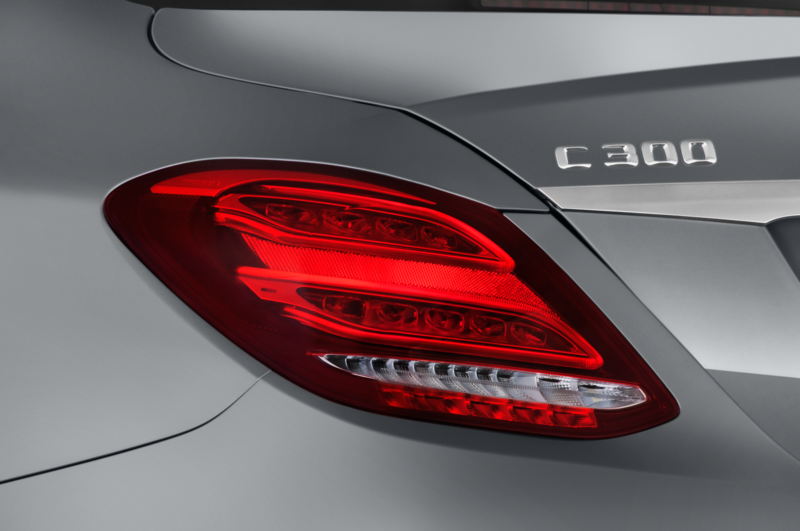 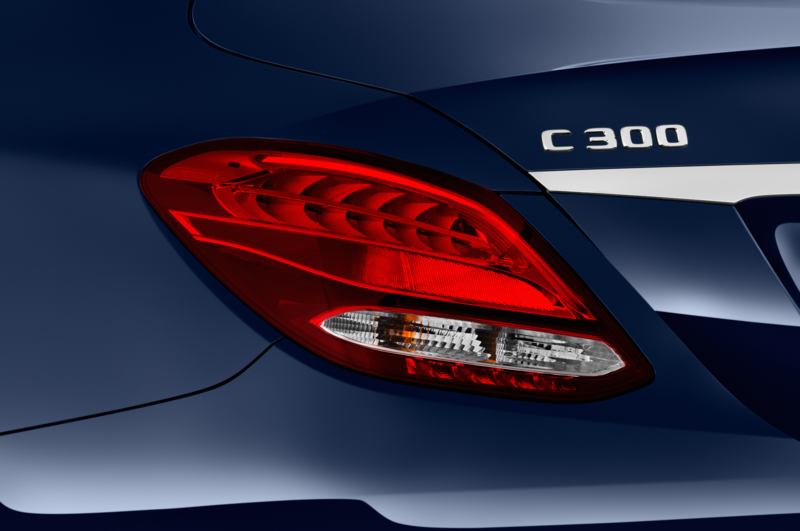 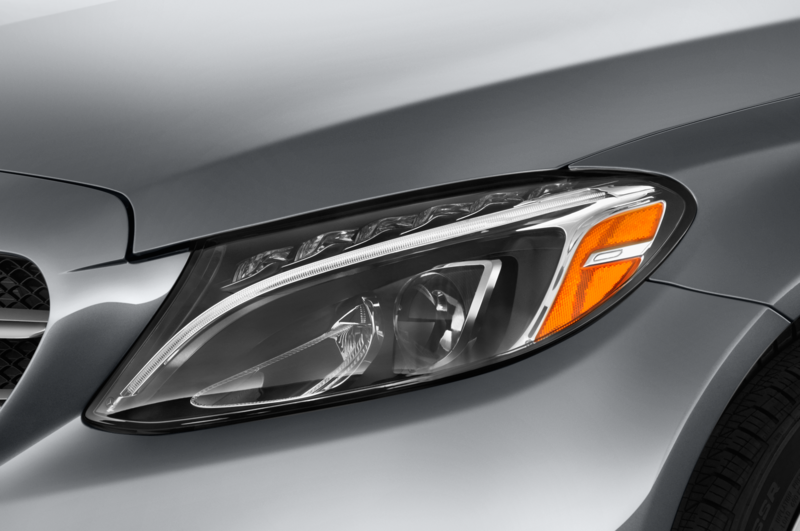 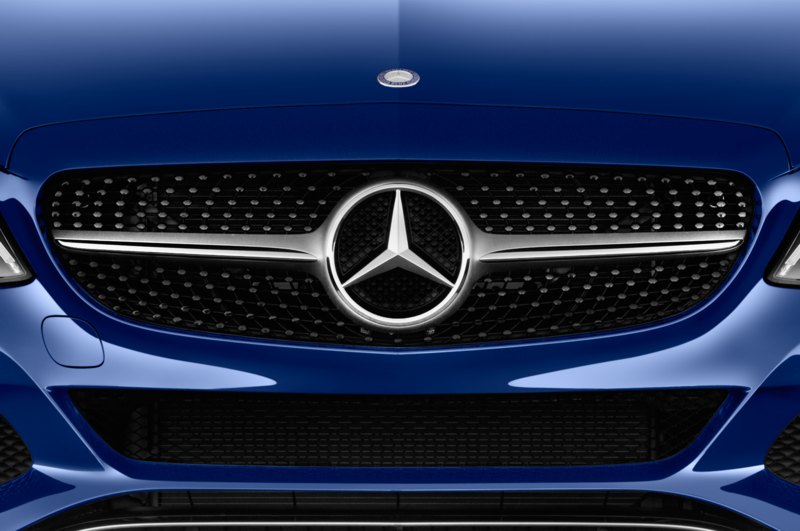 The C43 treatment is not simply about power, though. 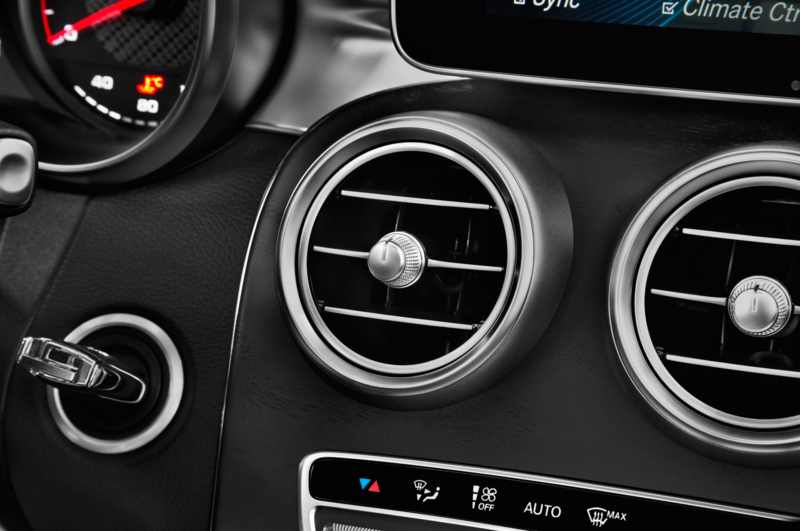 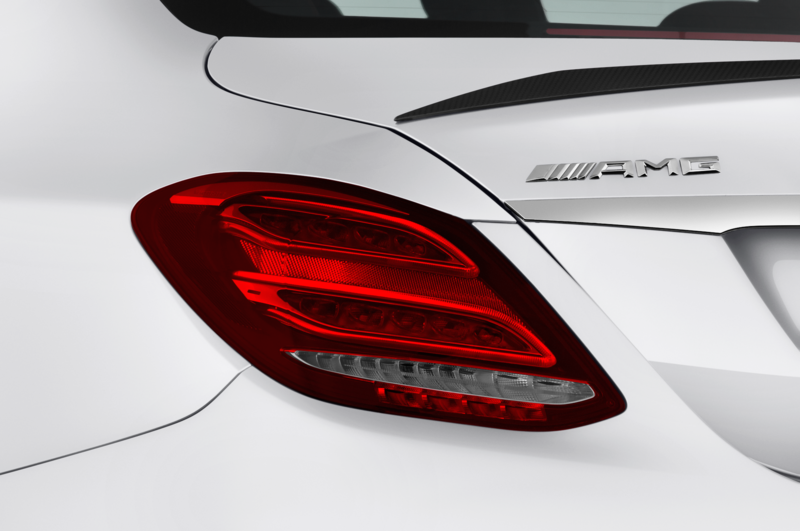 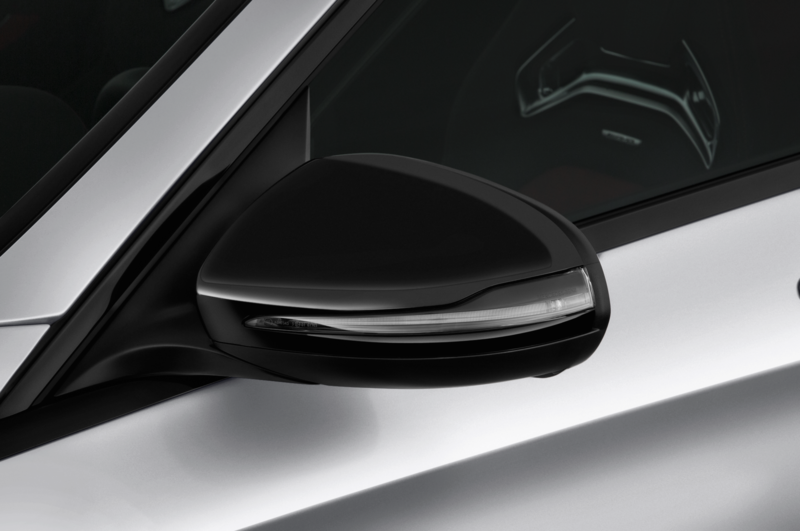 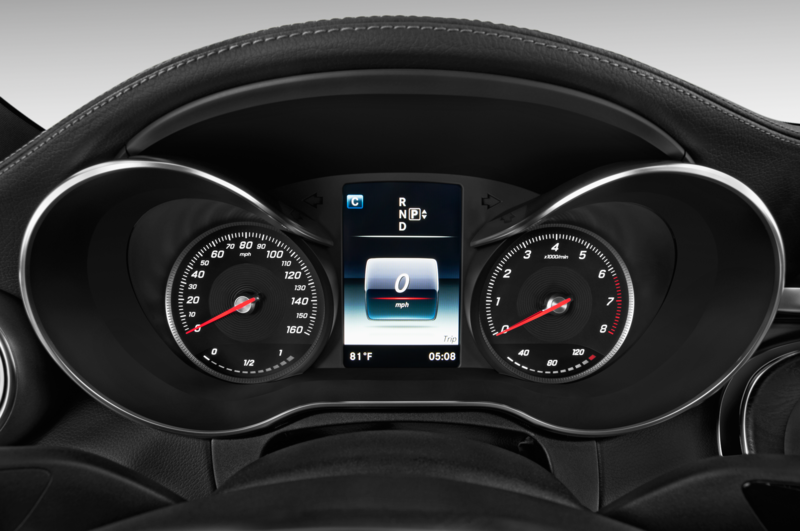 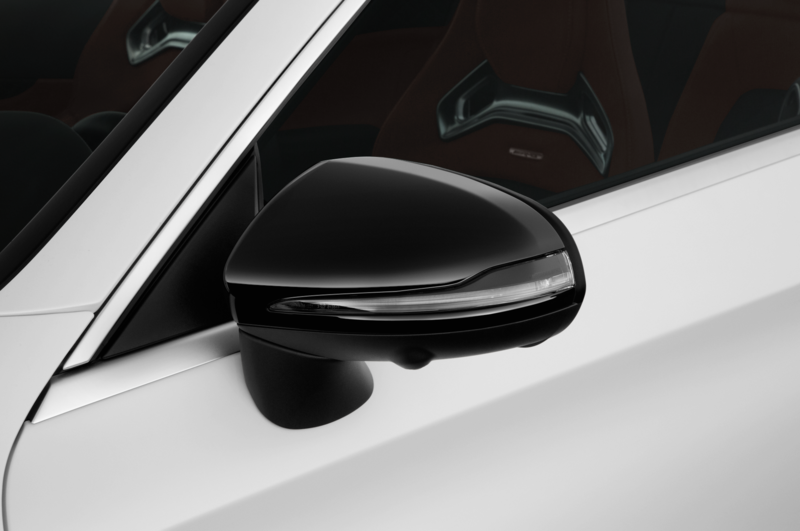 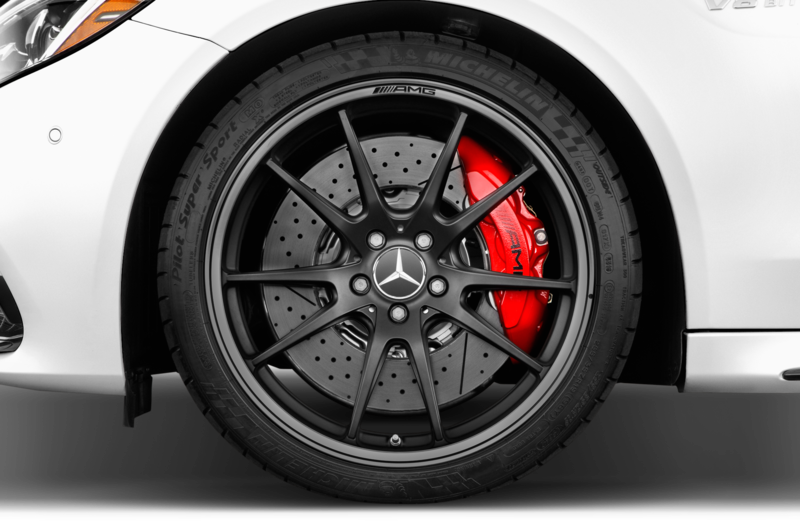 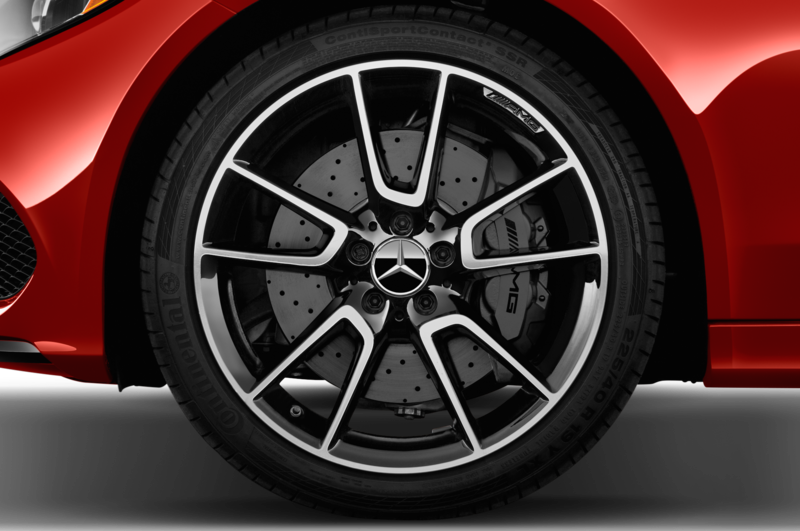 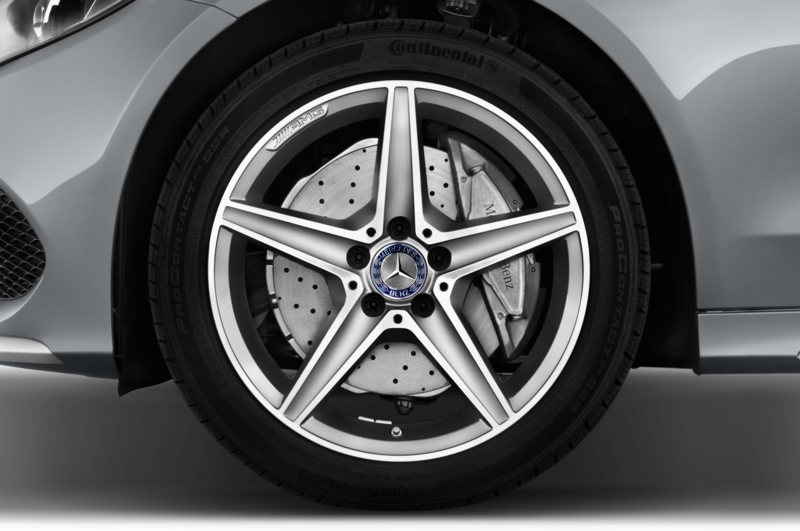 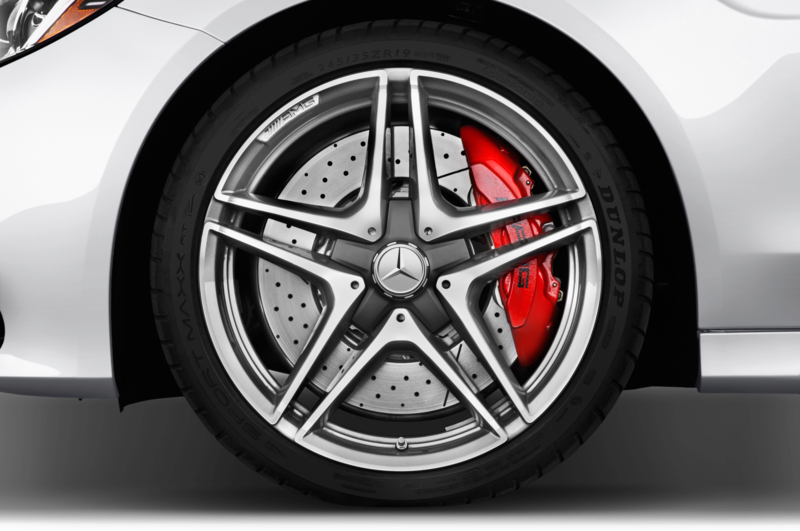 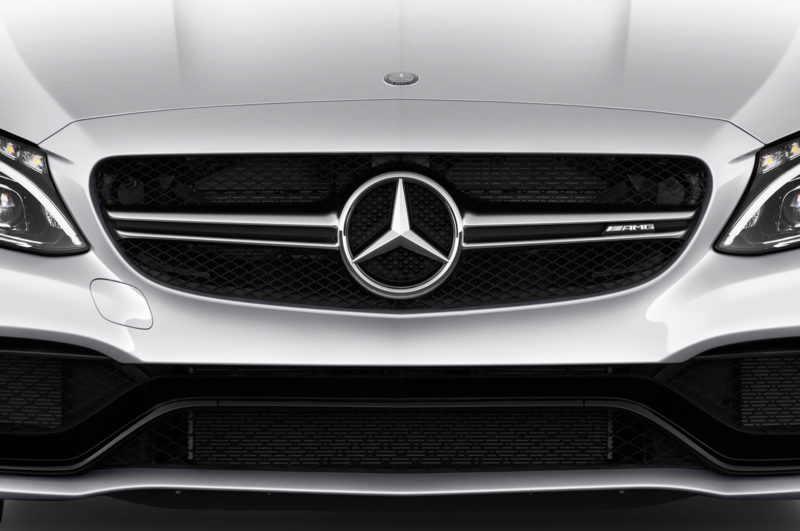 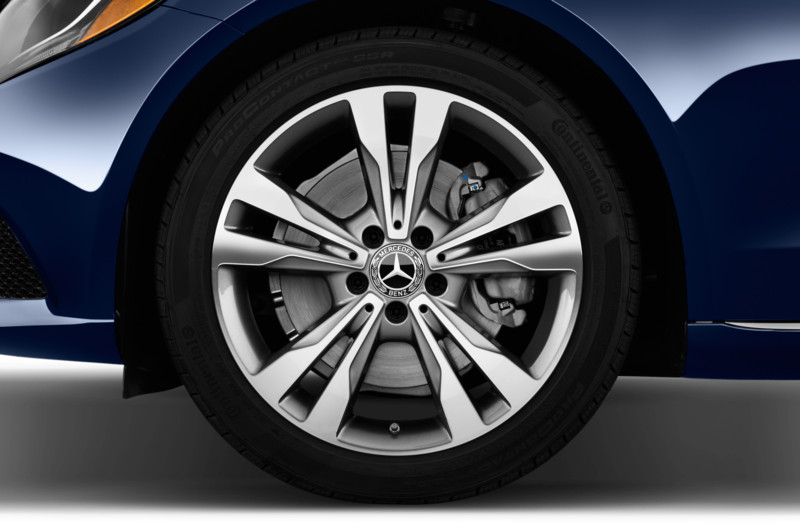 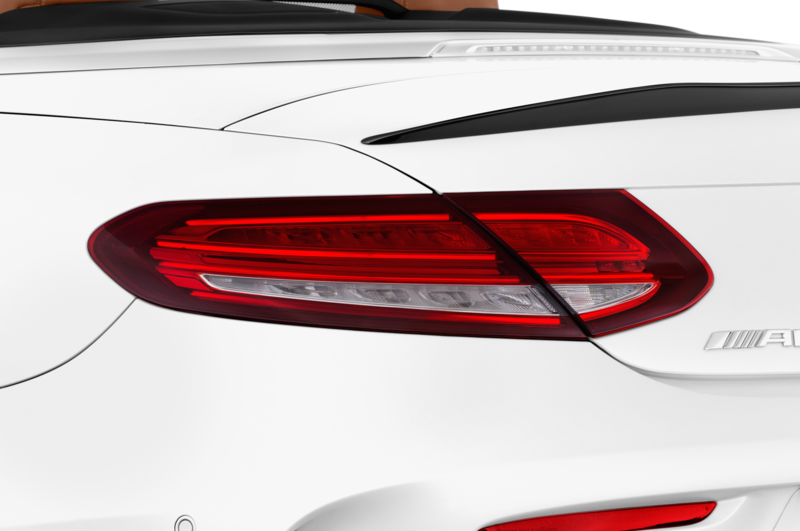 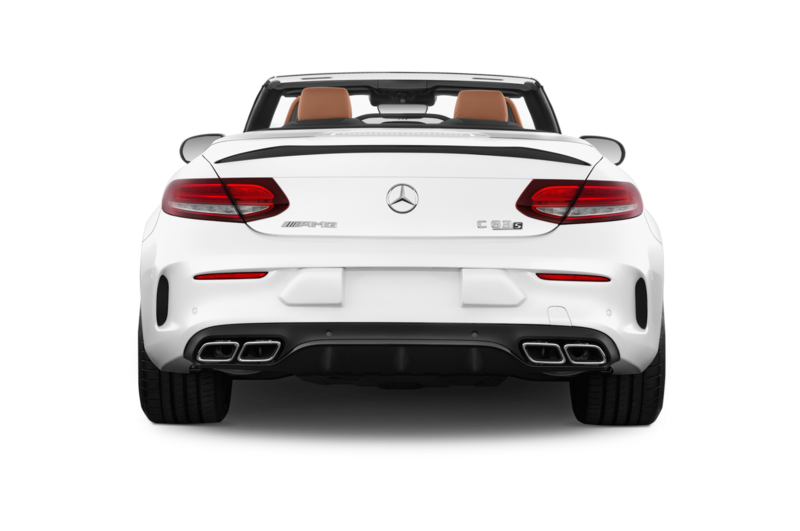 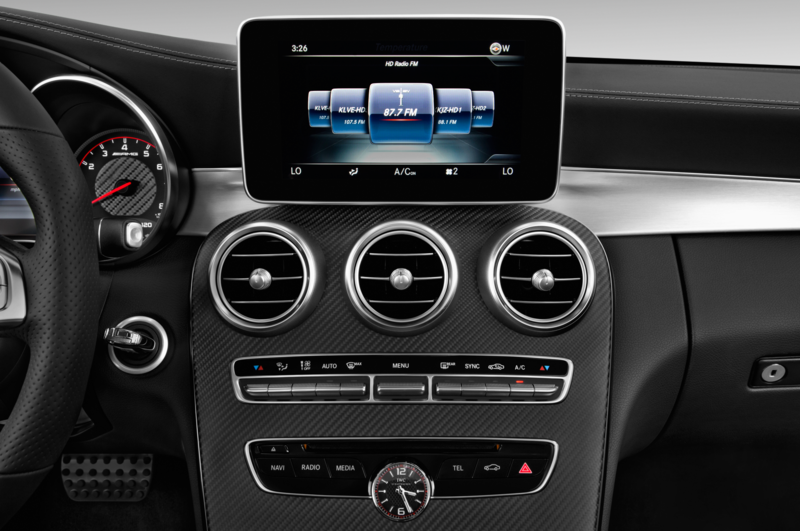 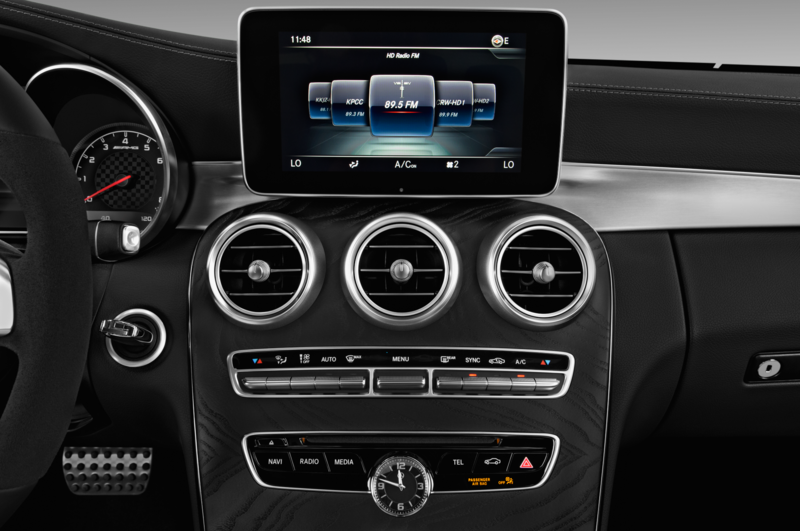 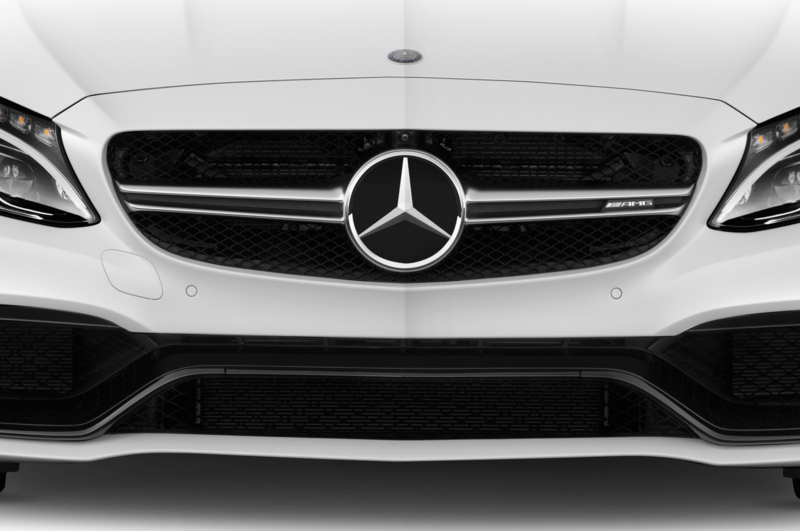 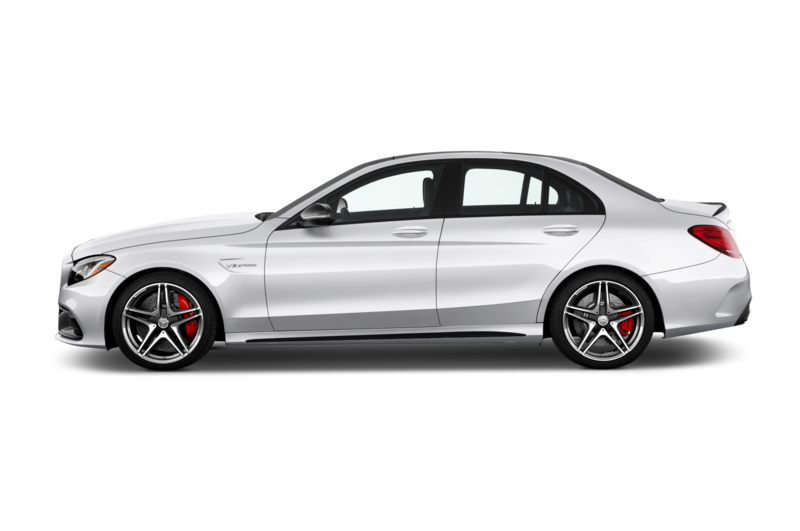 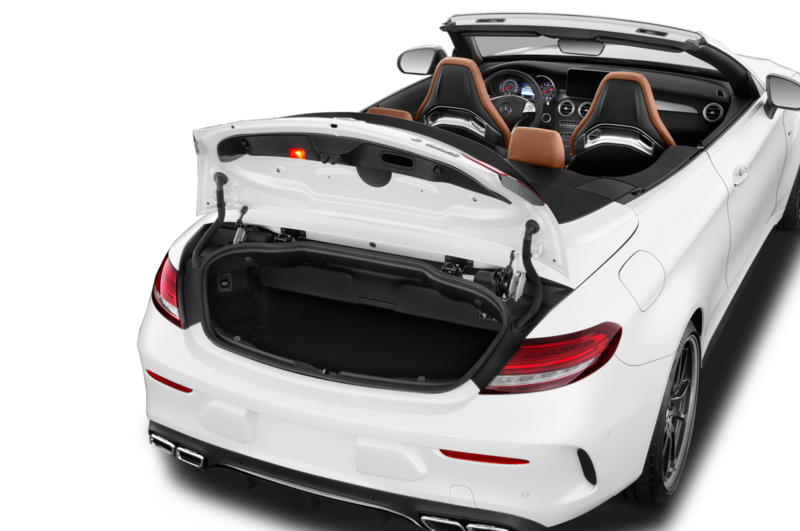 The Coupe also scores special AMG Performance tuning for its 4Matic all-wheel drive, giving a 69-percent rear power bias; three-stage air suspension; a redesigned front suspension with components from the C63; enlarged brakes with 14.2-inch front and 12.6-inch rear discs; and unique suspension tuning with extra negative camber for improved grip. 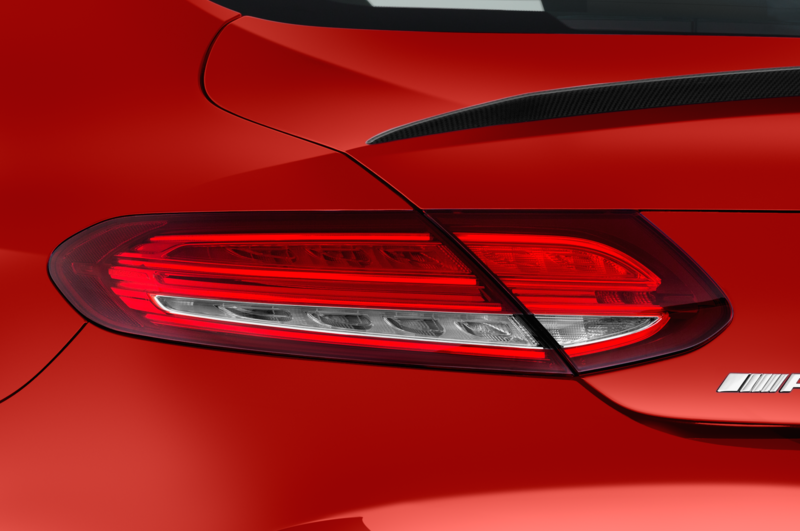 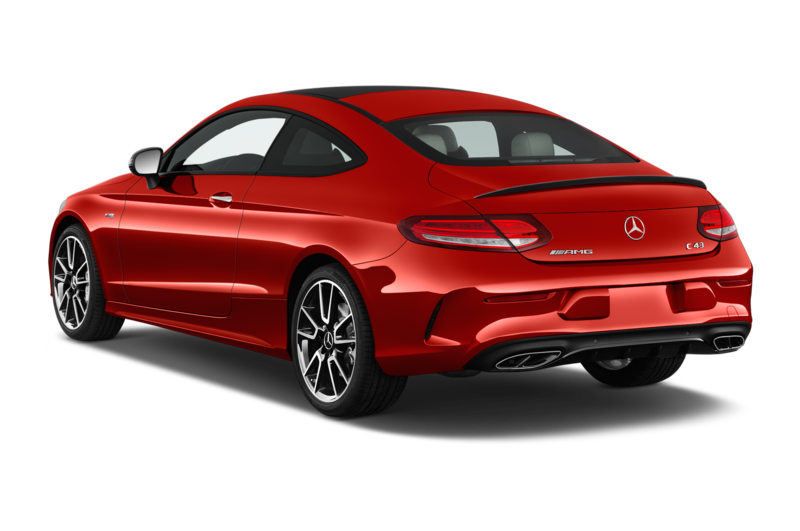 Mercedes-AMG also grafts more aggressive front and rear fascias onto the C43 Coupe, as well as 18- or 19-inch AMG wheels, a new front splitter and rear diffuser, and even a red aluminum engine cover under the hood. 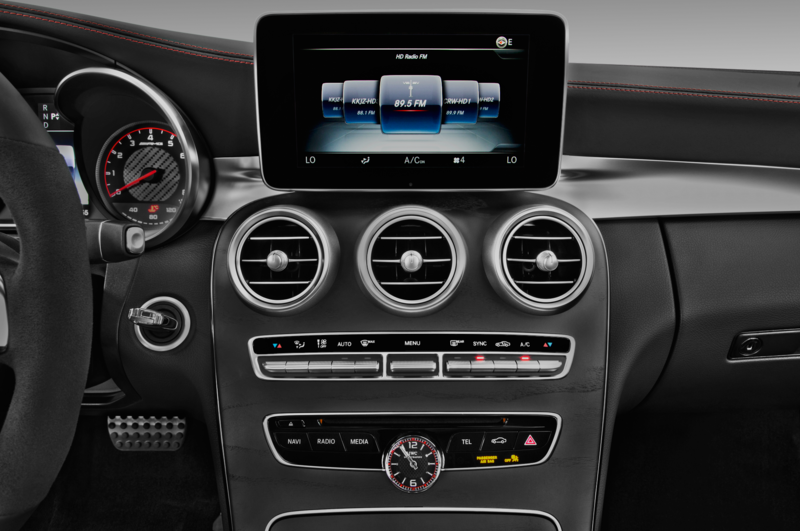 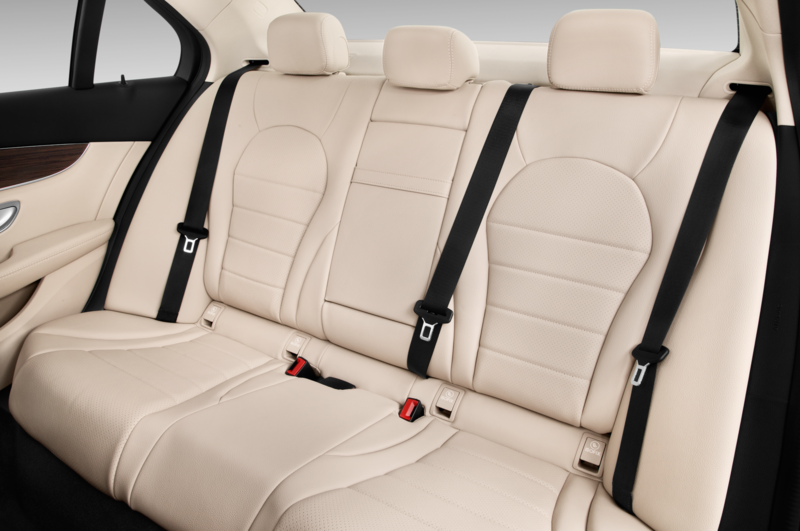 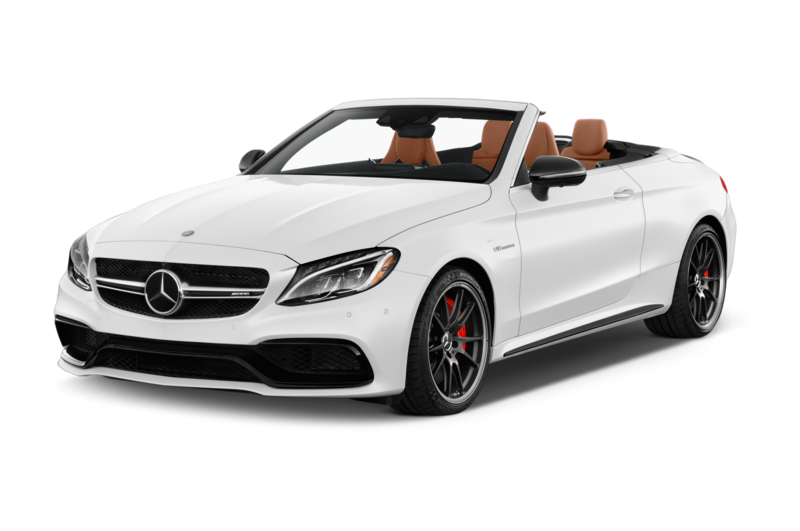 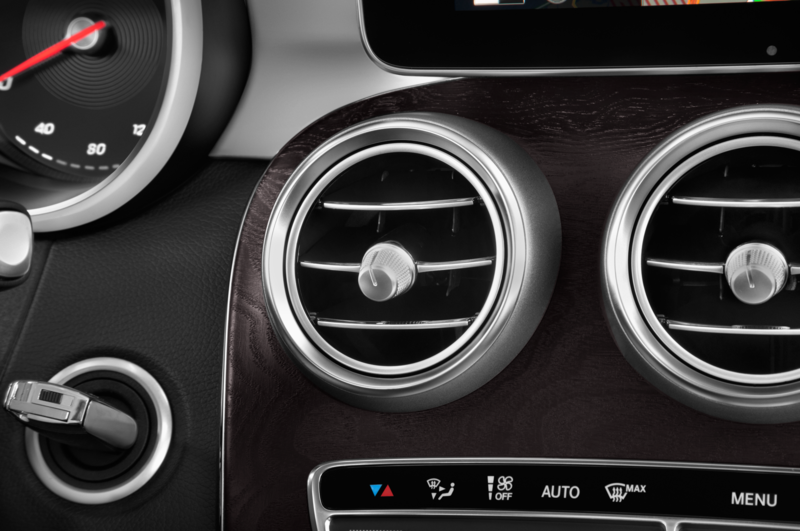 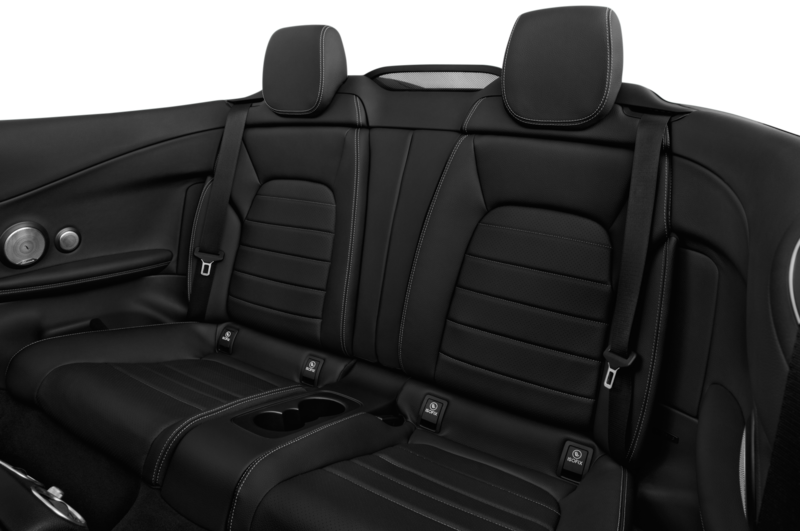 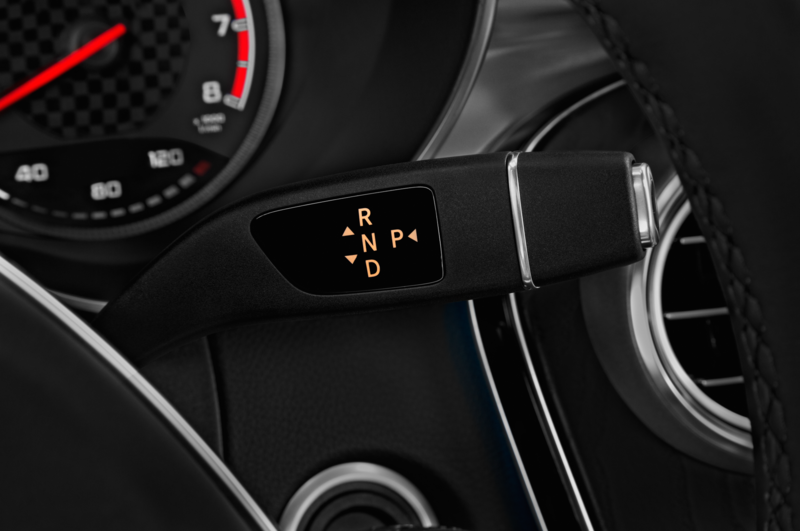 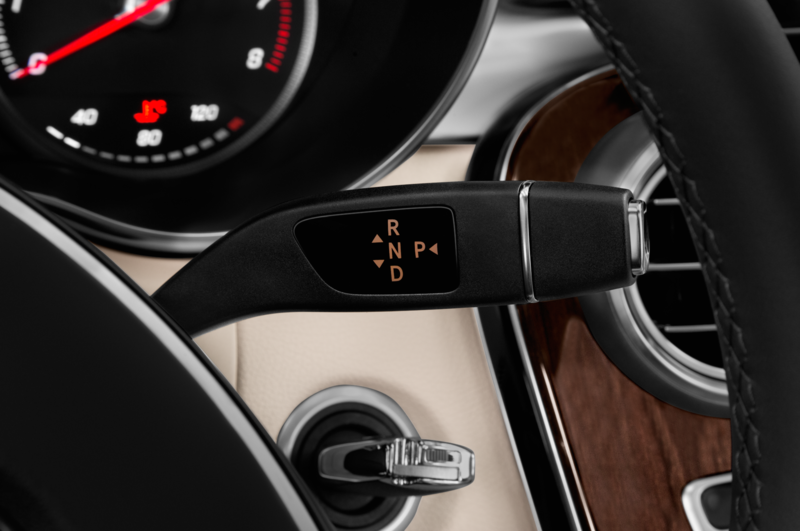 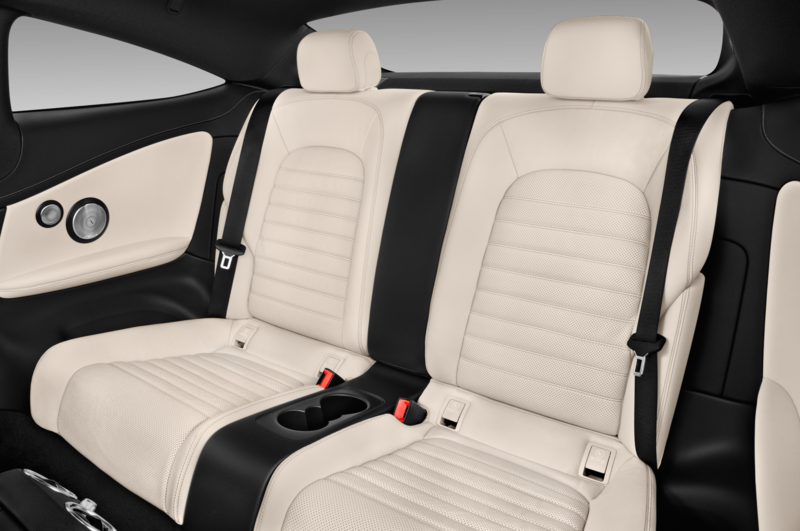 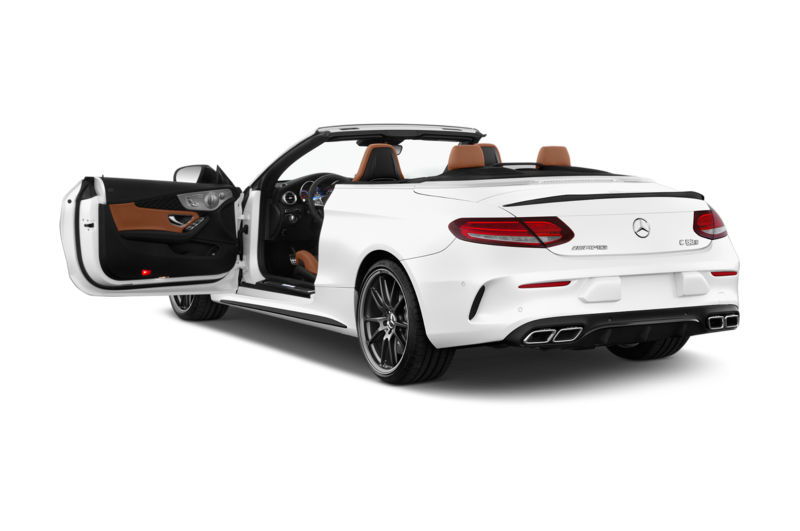 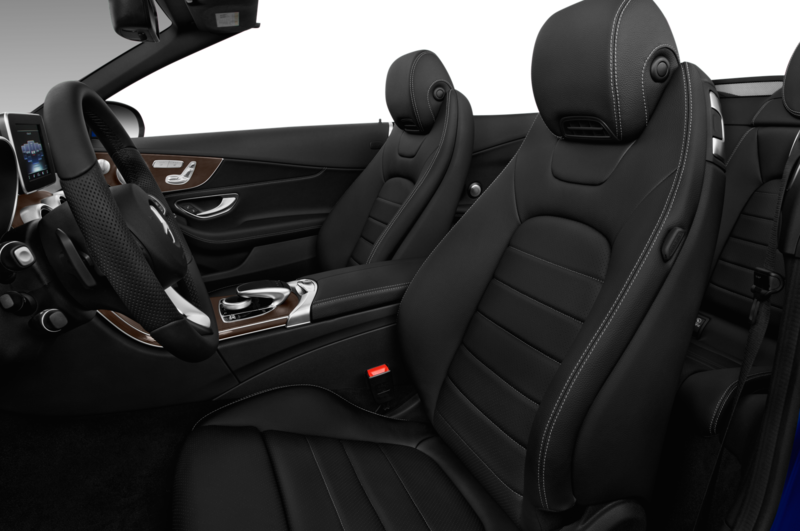 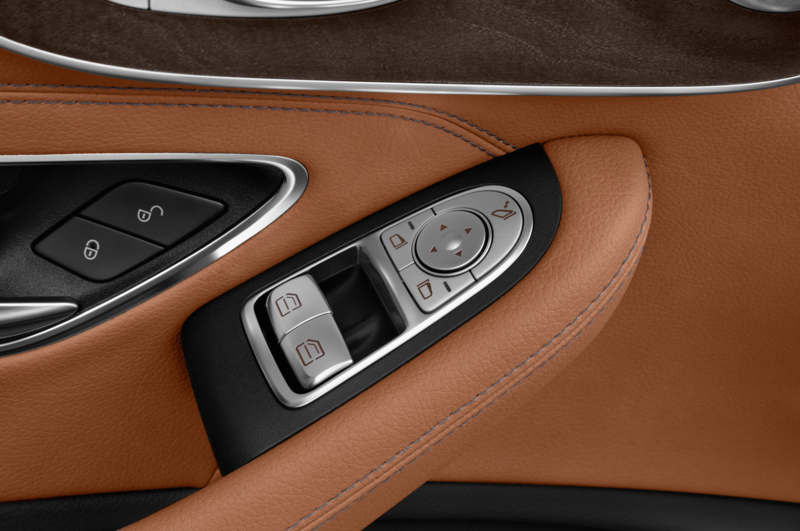 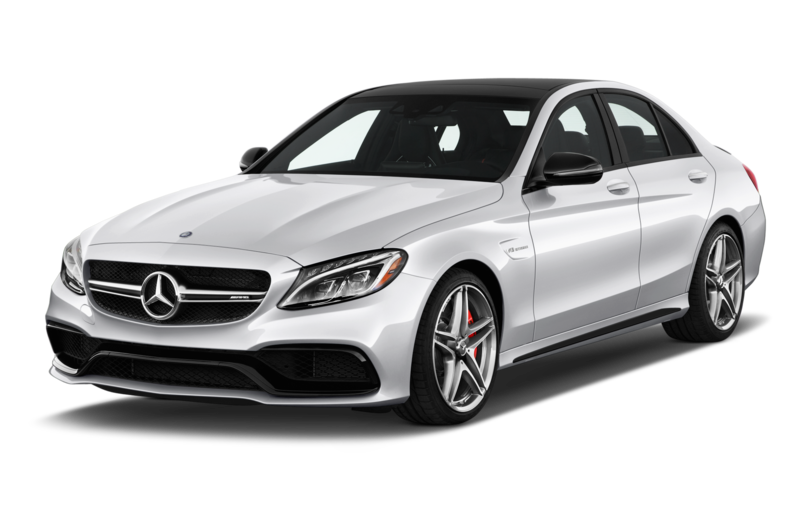 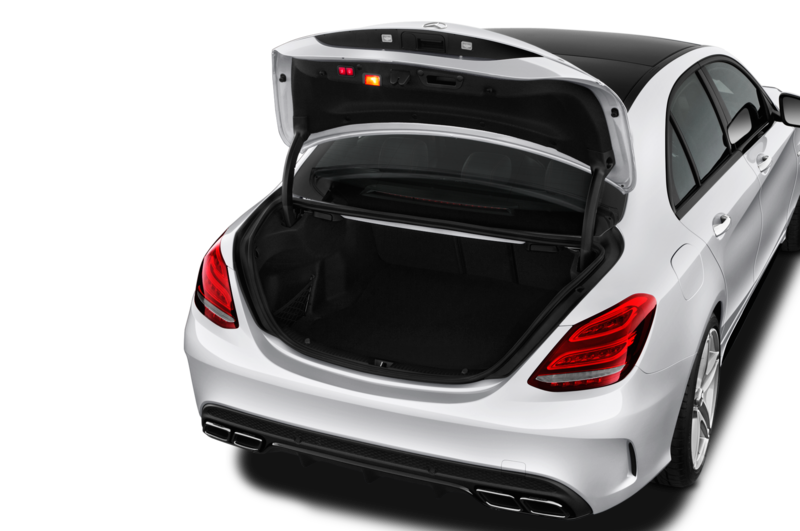 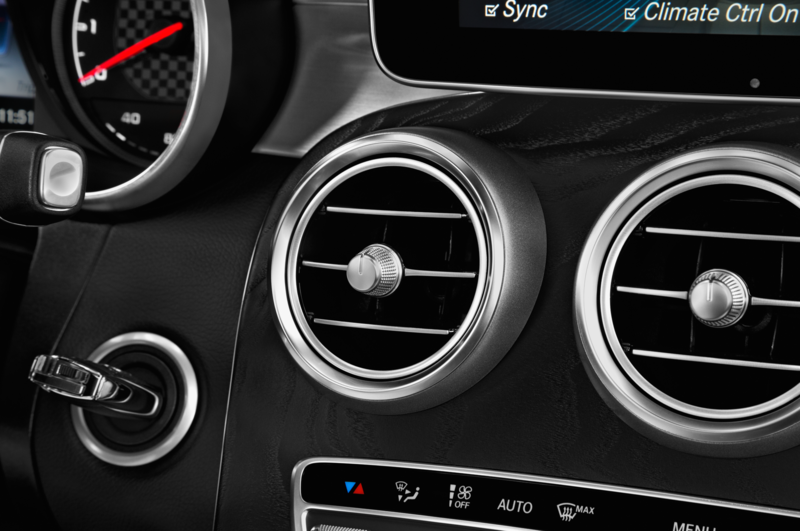 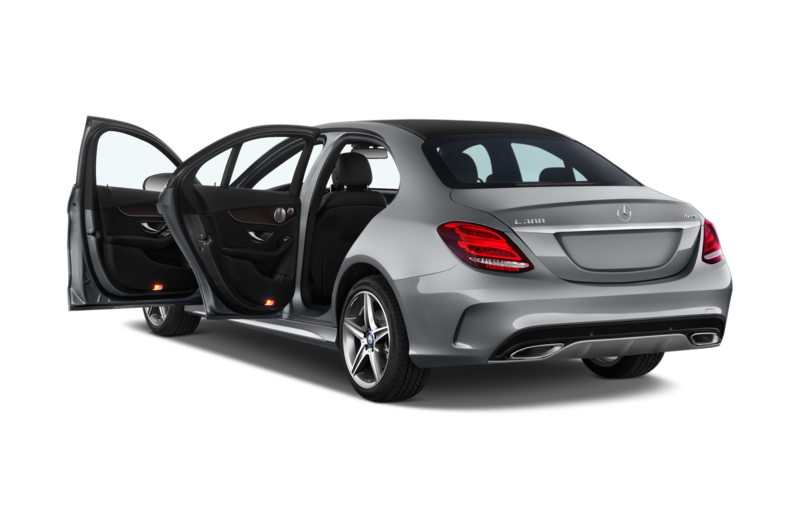 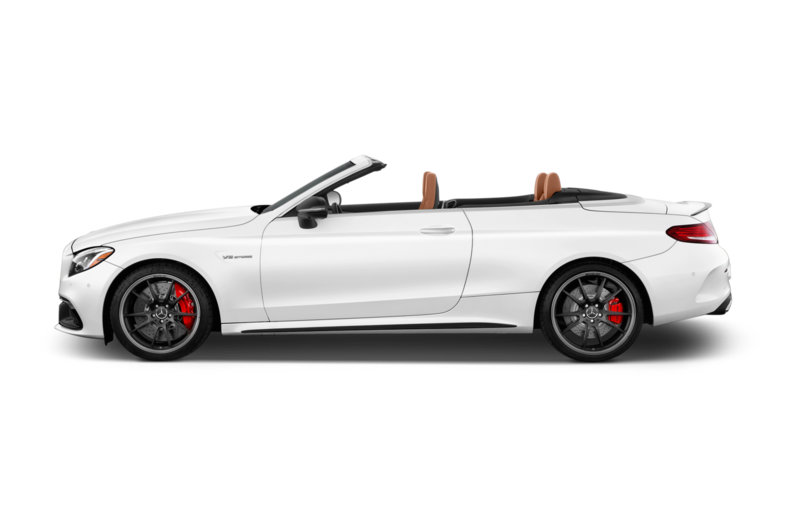 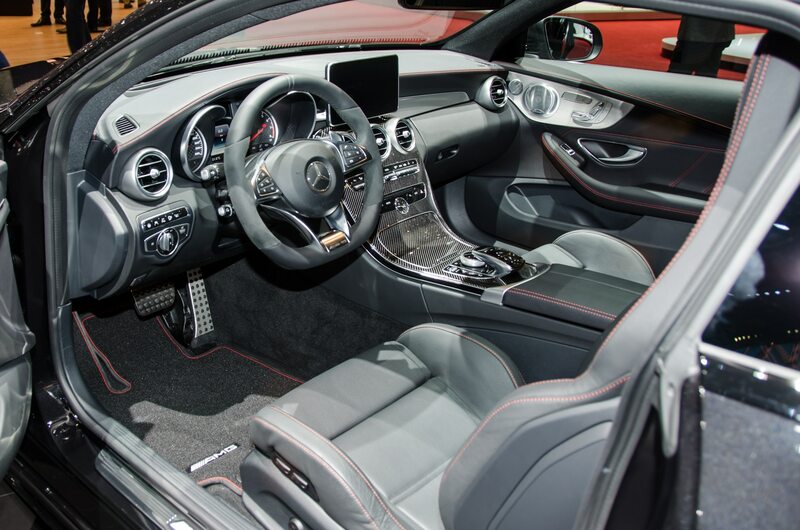 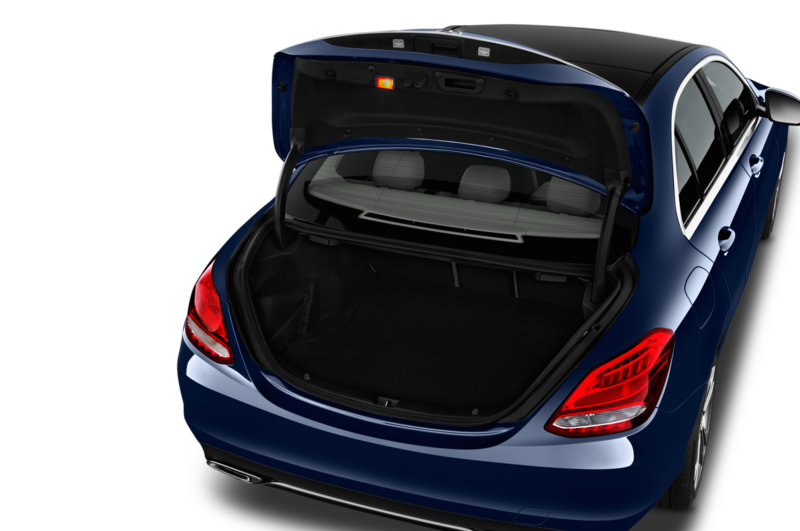 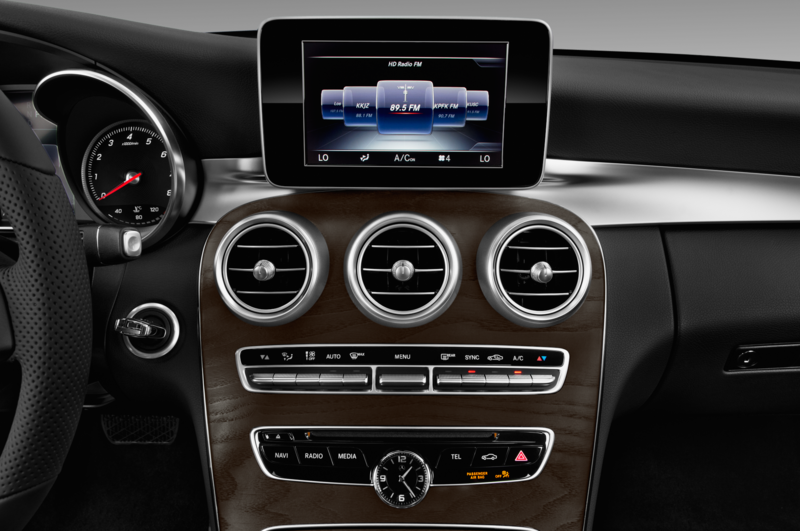 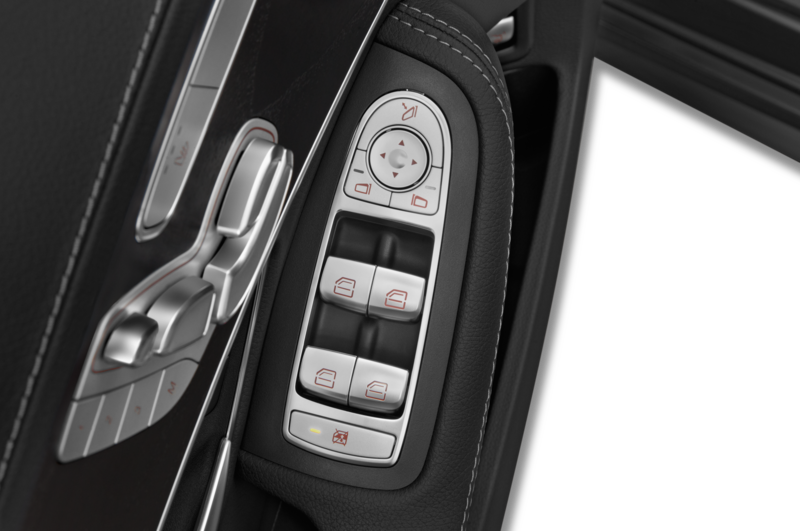 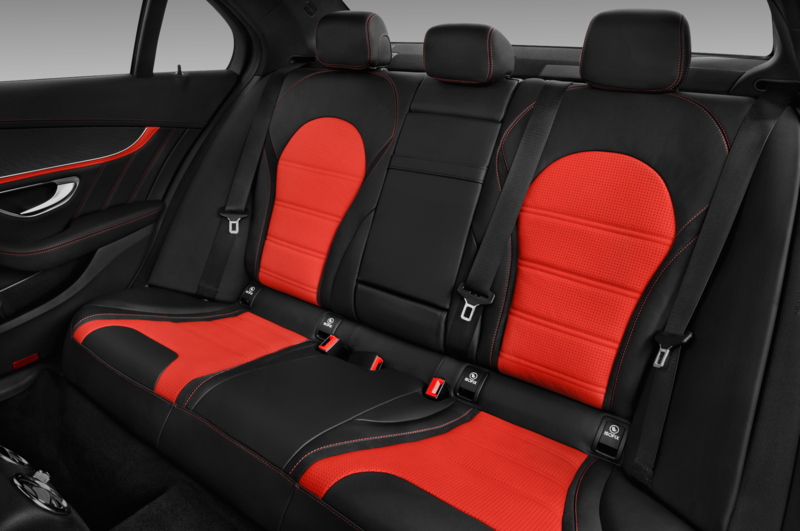 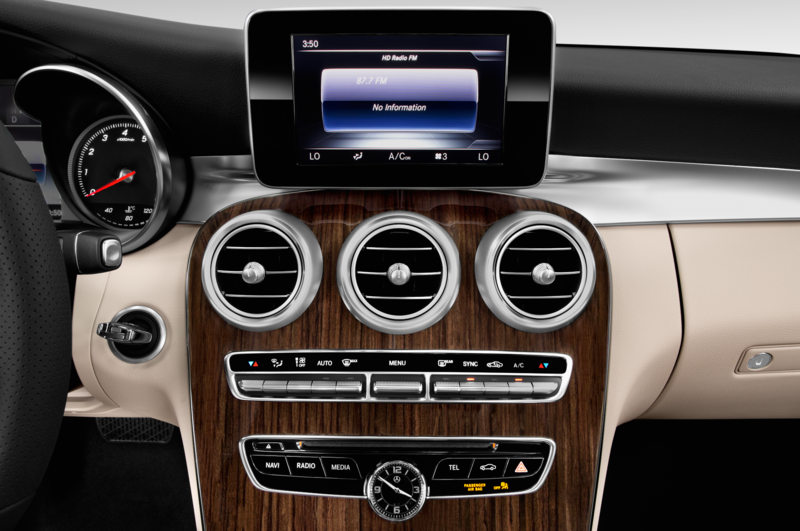 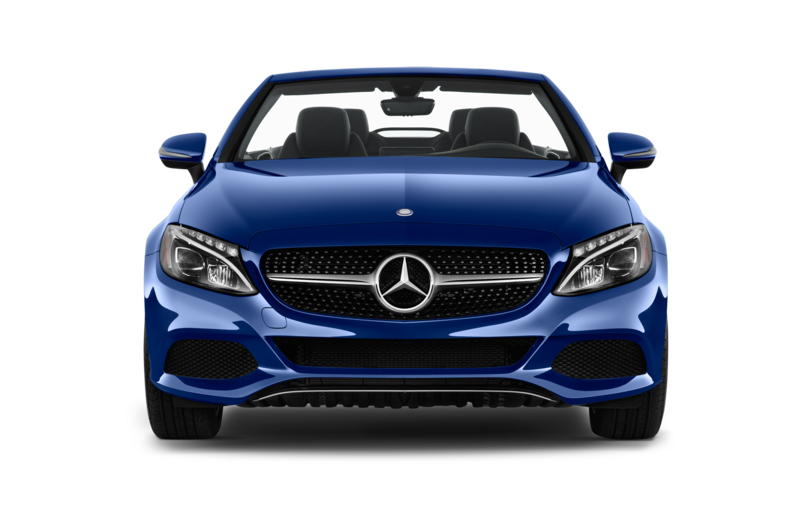 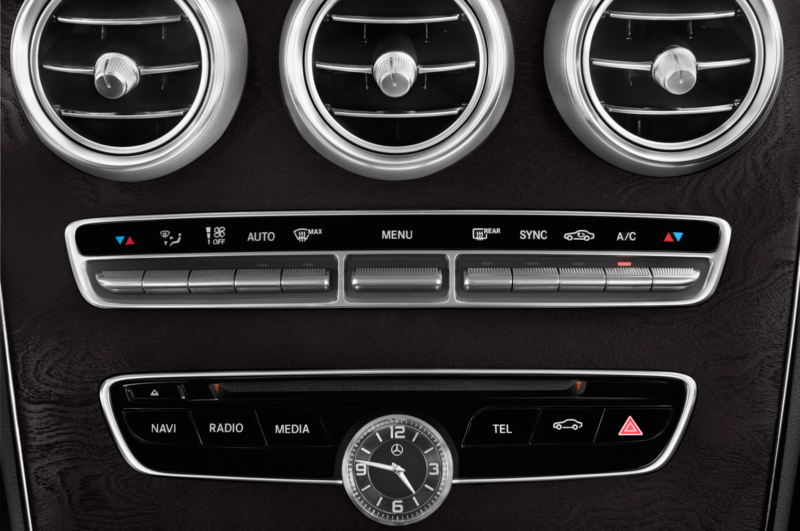 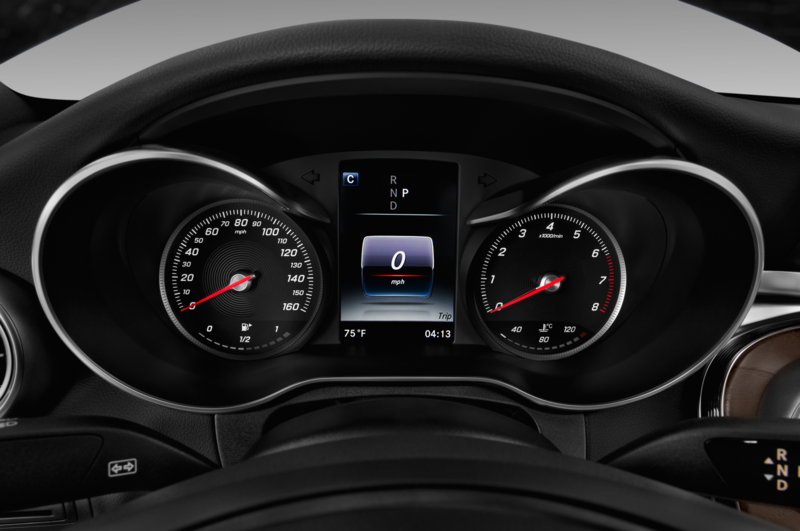 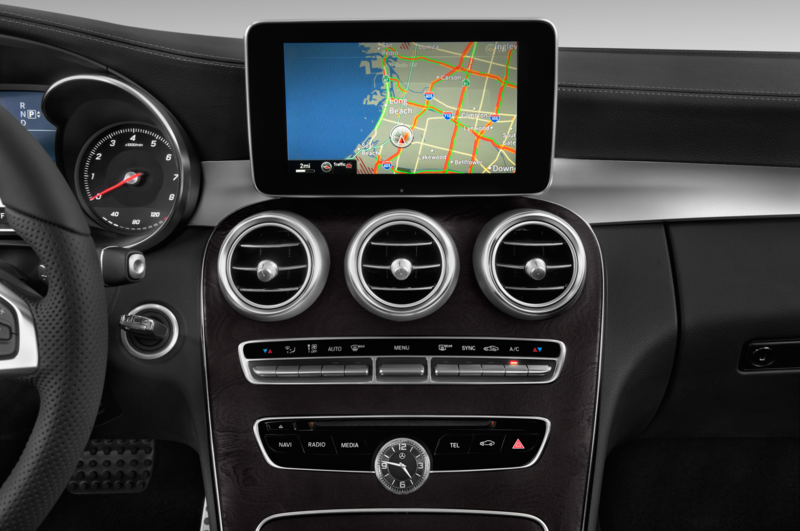 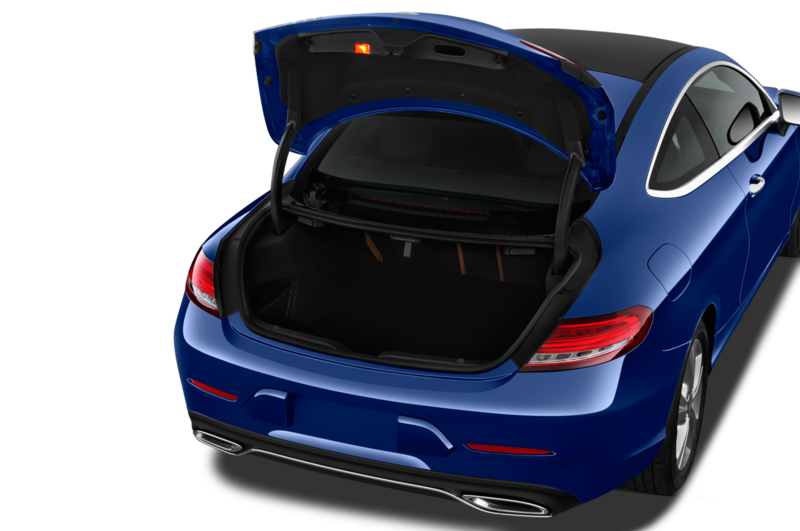 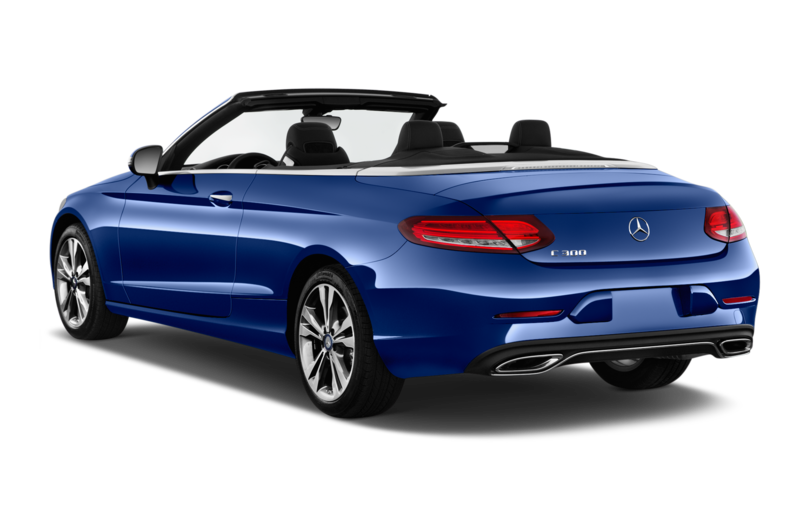 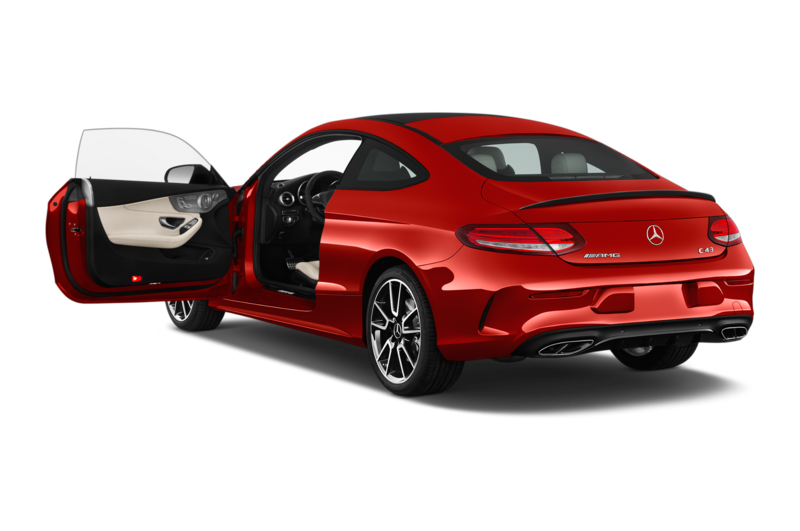 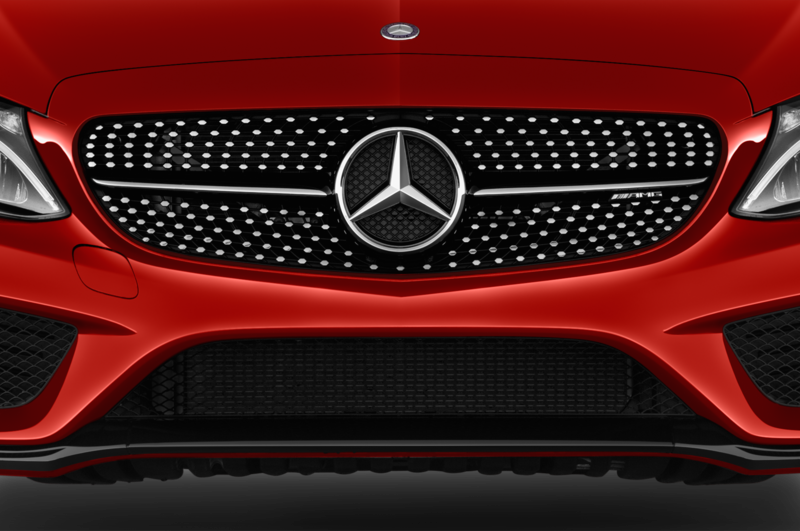 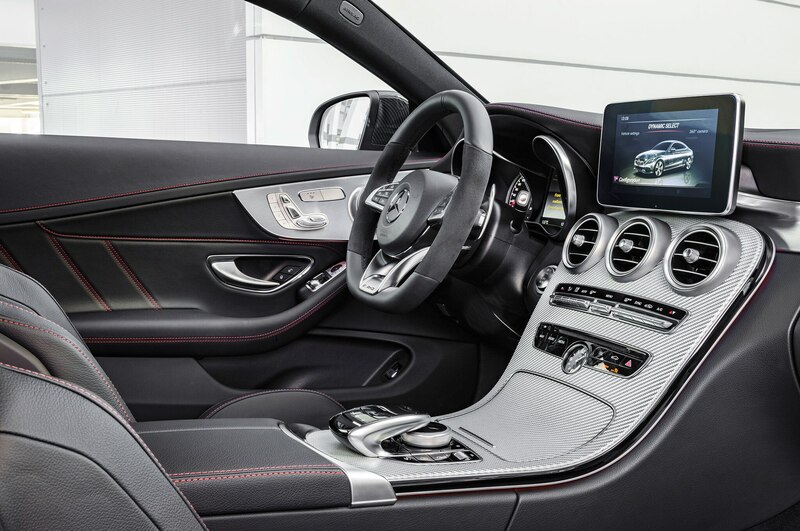 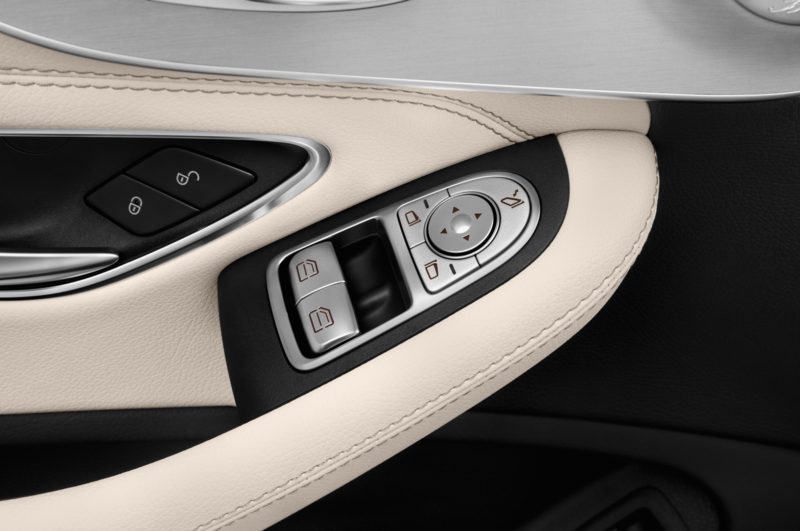 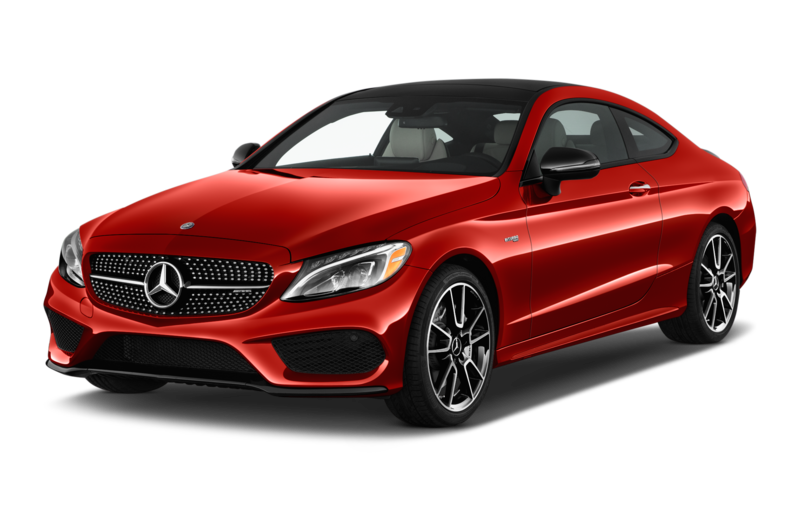 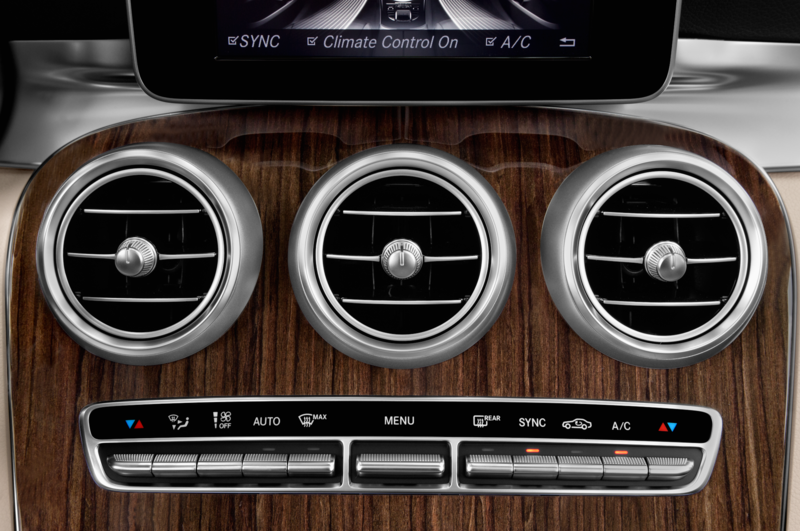 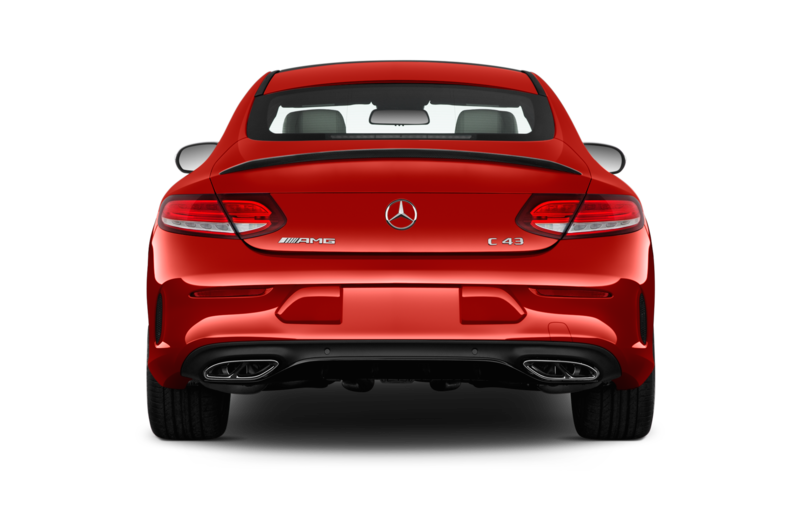 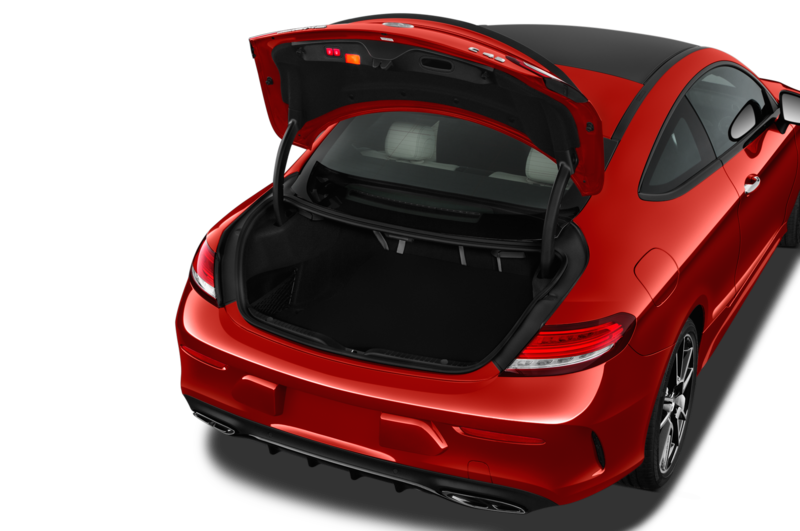 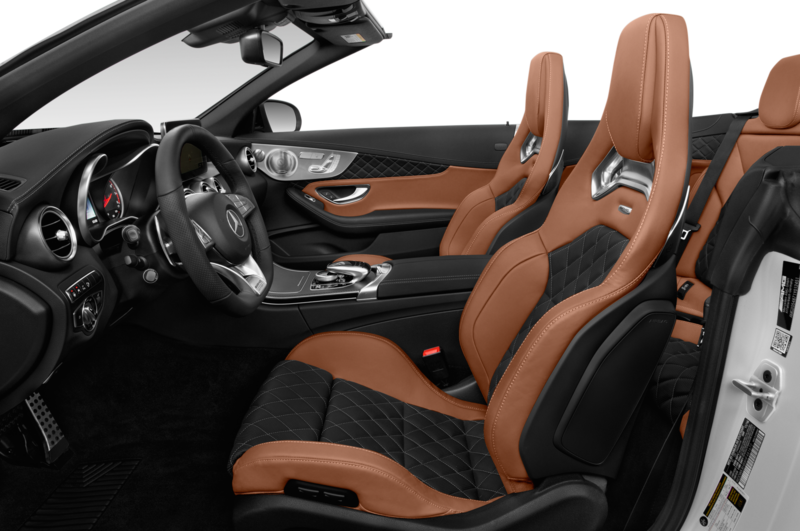 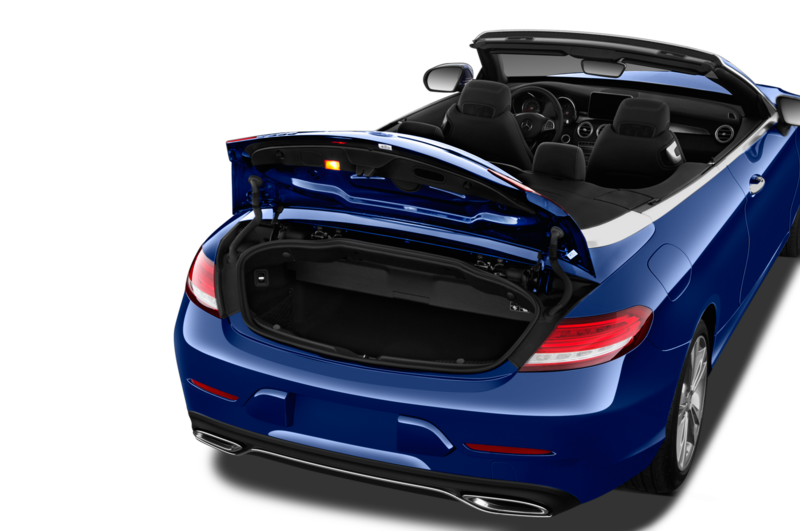 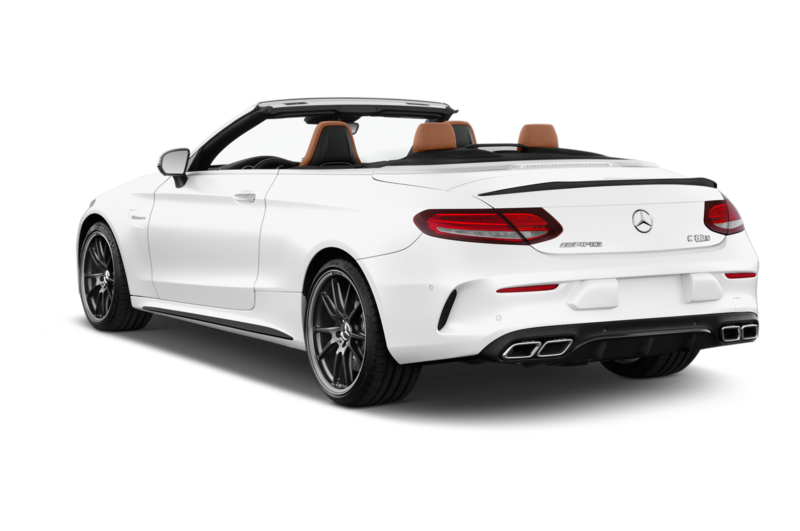 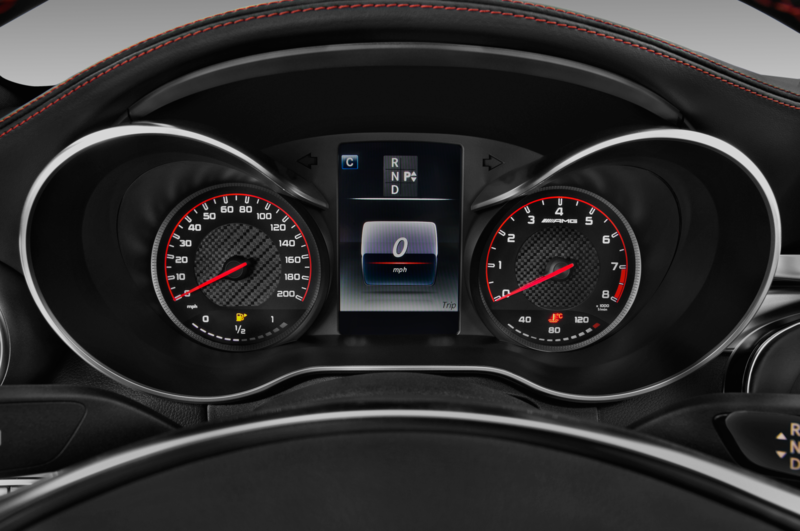 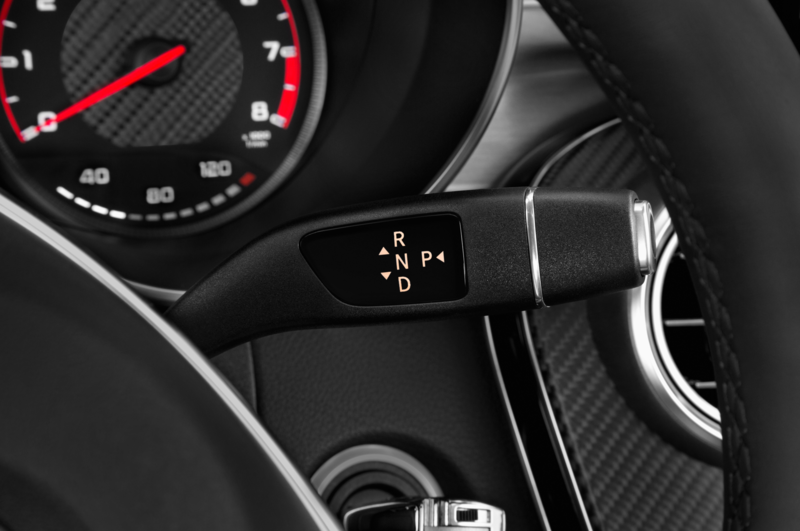 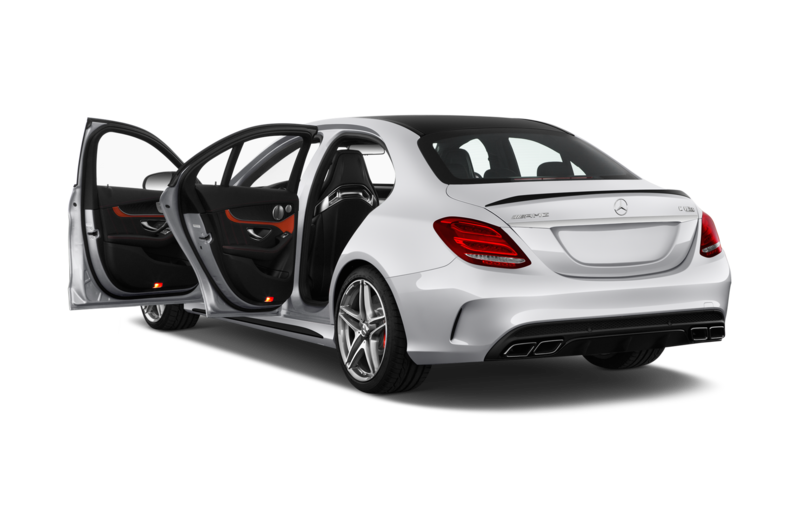 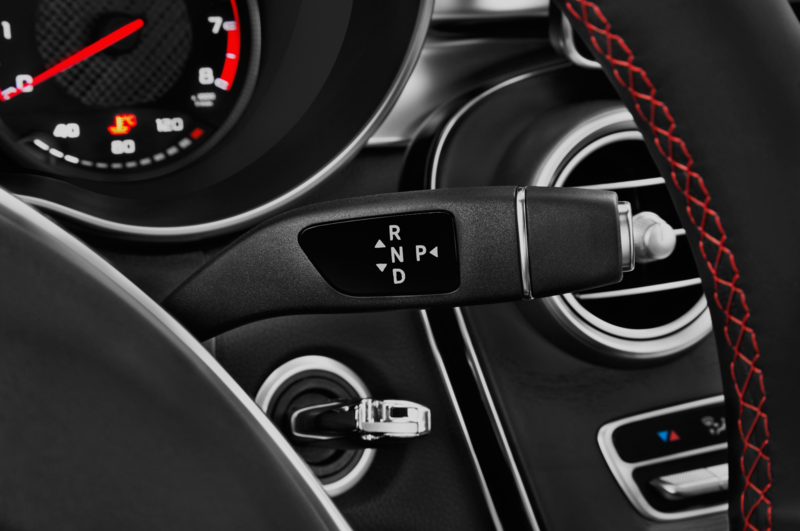 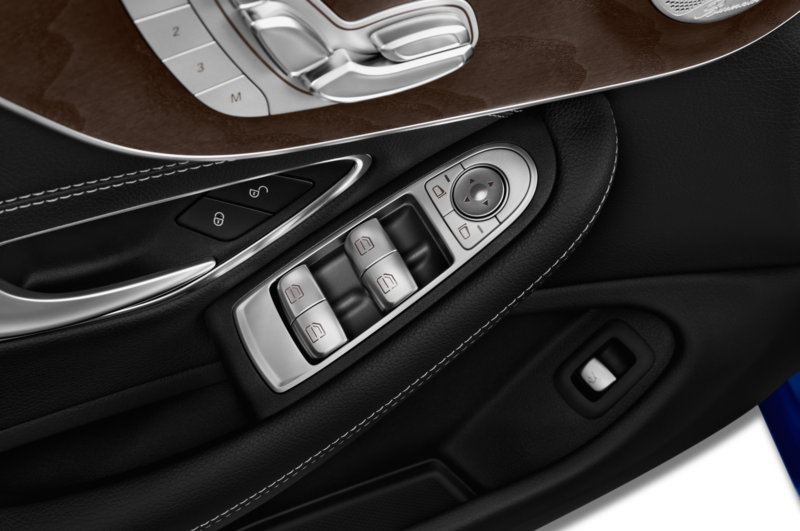 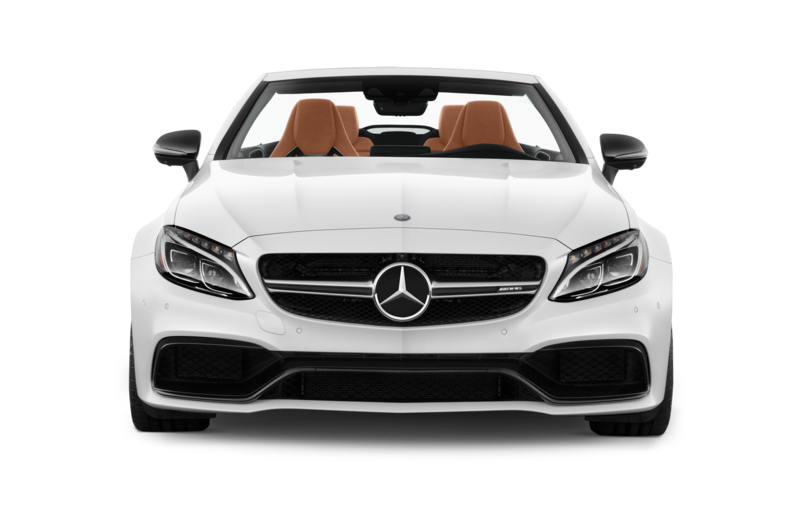 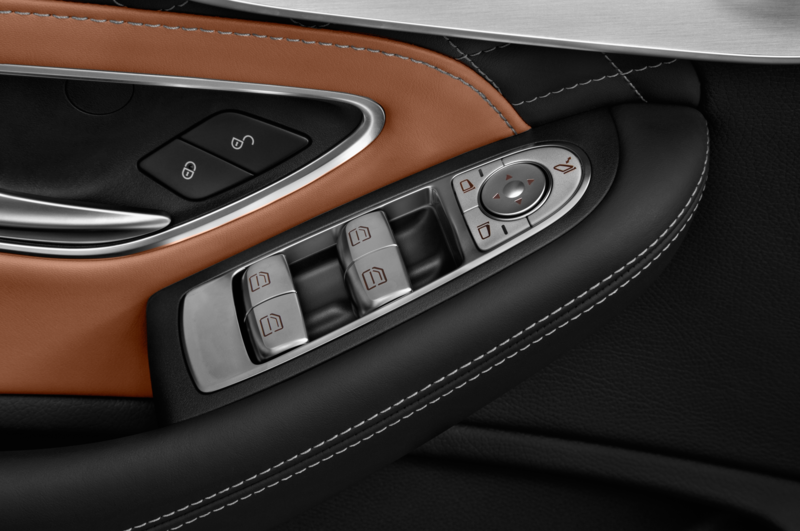 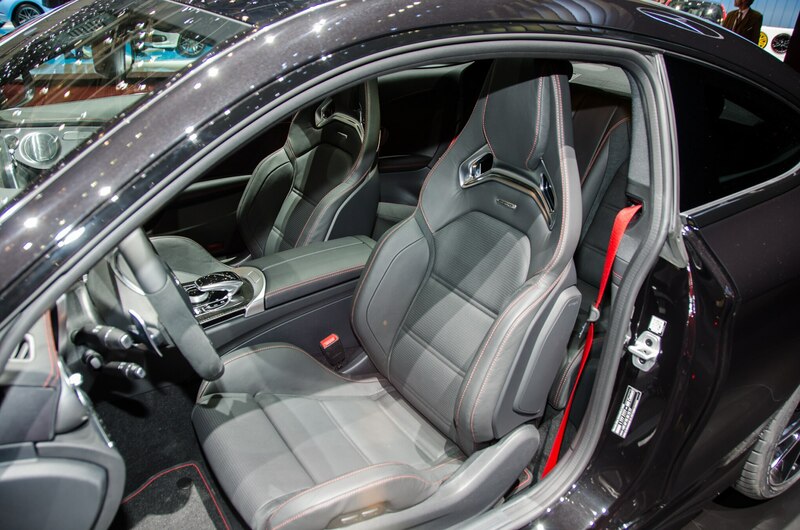 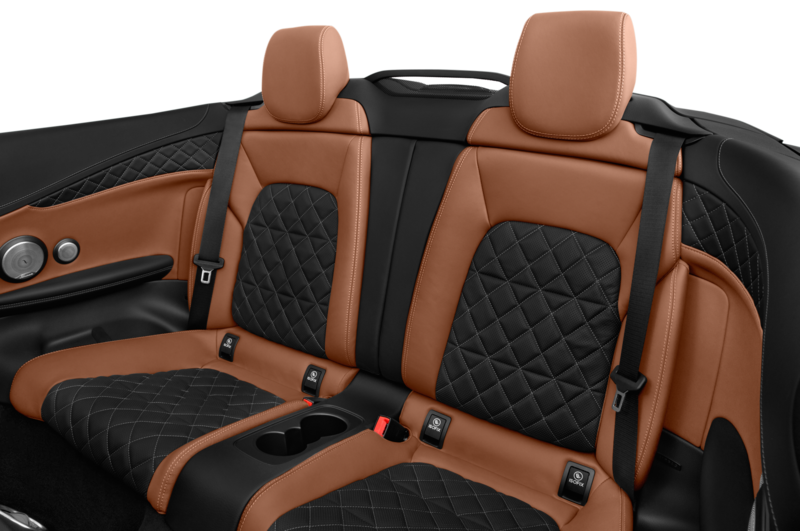 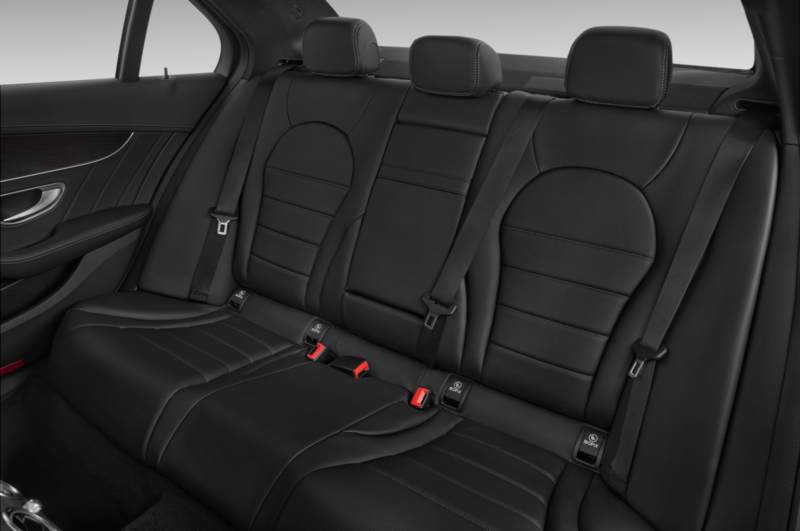 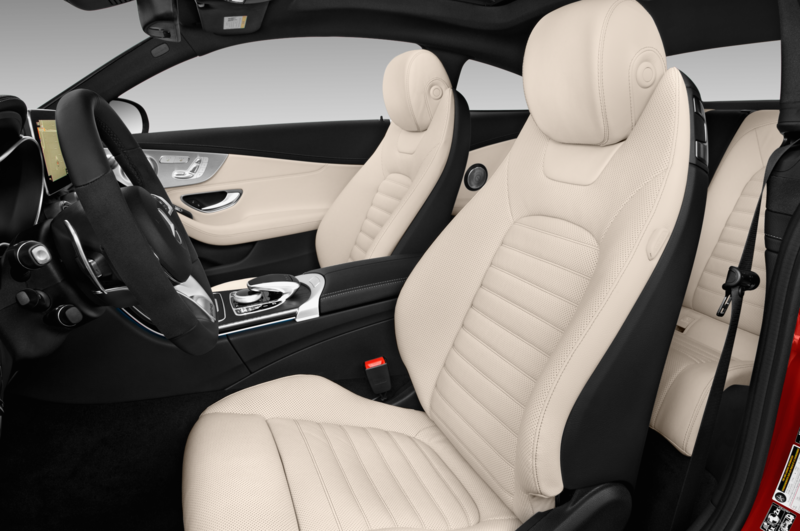 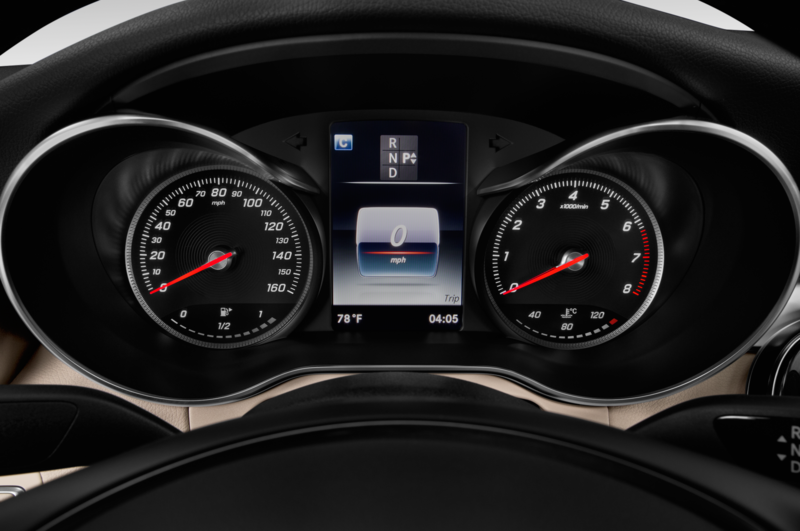 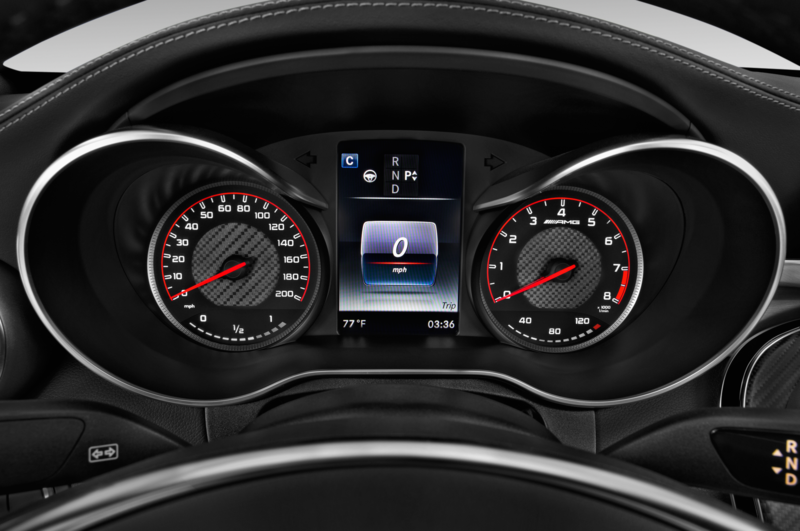 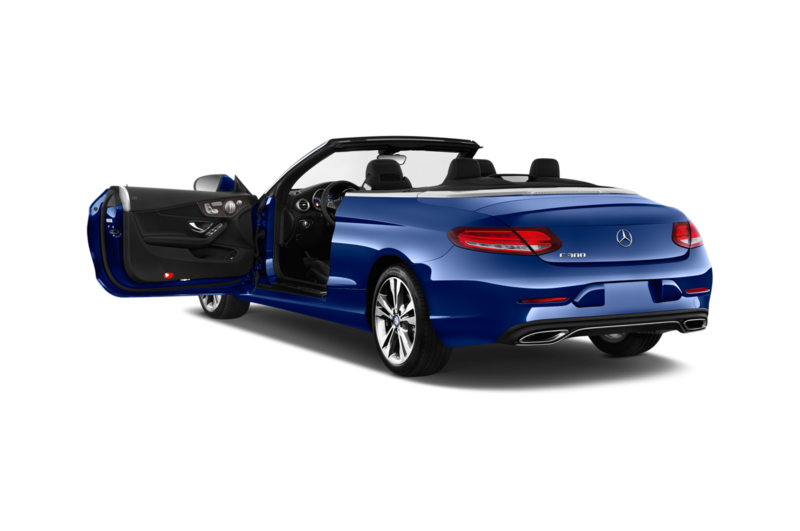 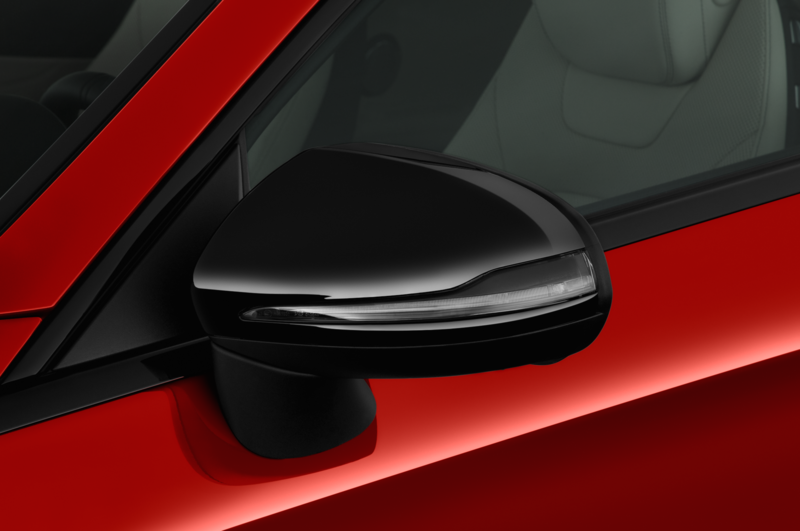 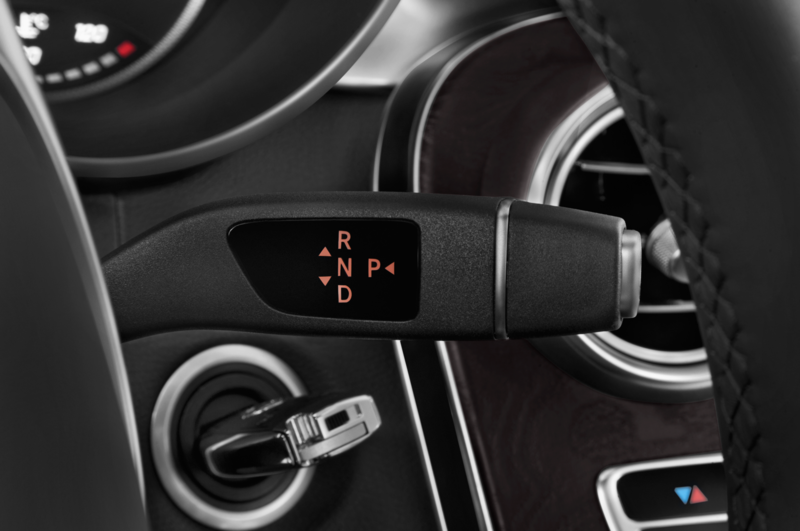 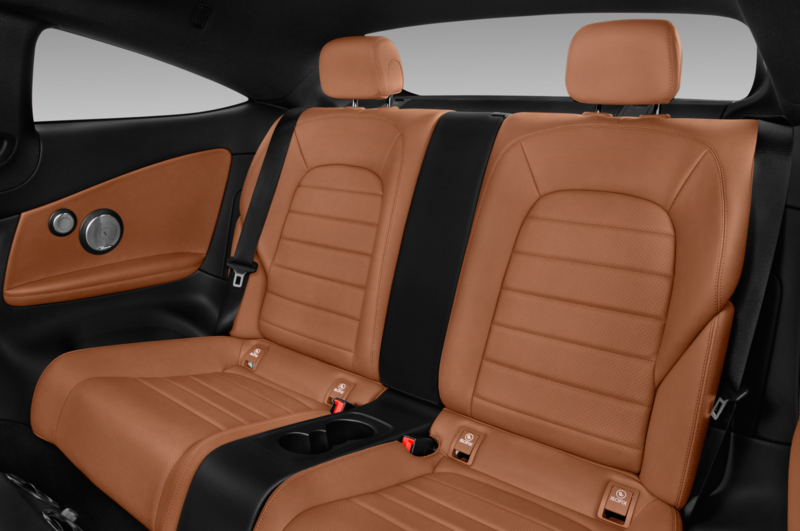 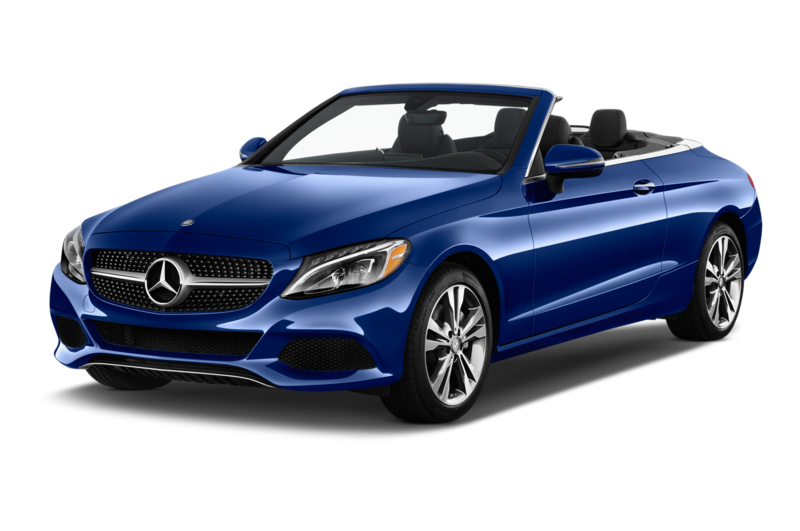 Red stitching, red seat belts, and red-trimmed floor mats dress up the cabin, along with an AMG-specific instrument cluster (featuring 180-mph readout and lap timer), aluminum trim, and a flat-bottom leather-wrapped steering wheel. 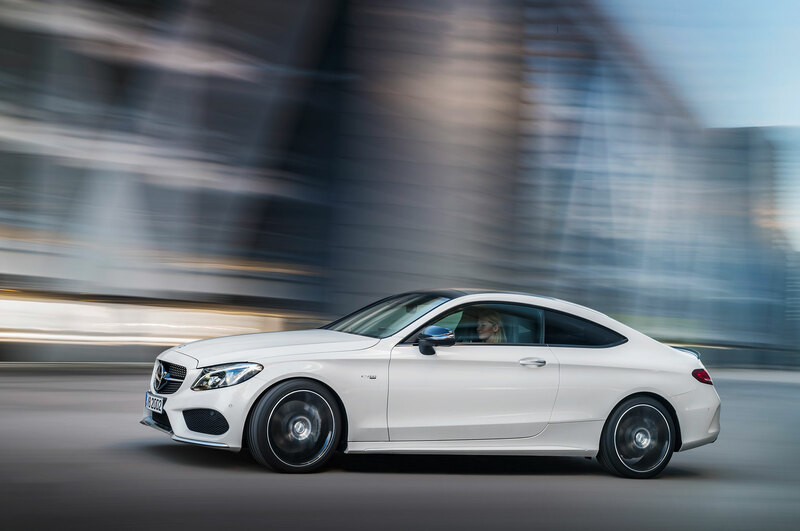 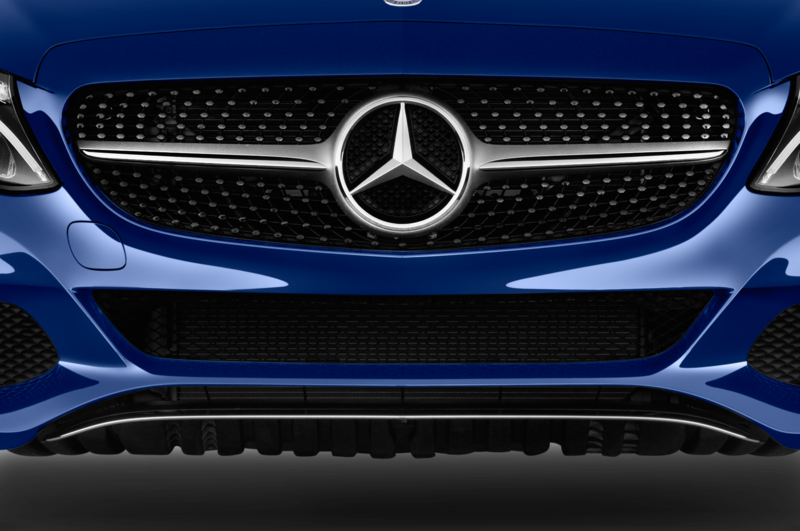 The 2017 Mercedes-AMG C43 Coupe reaches U.S. dealers this fall. 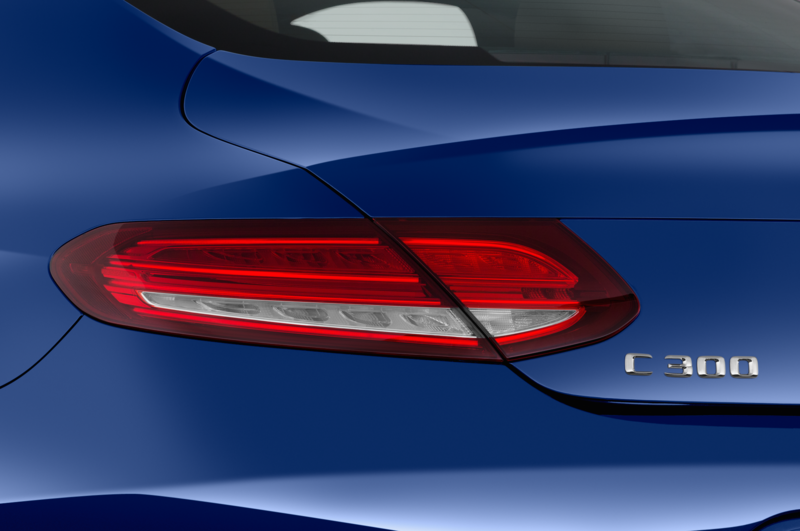 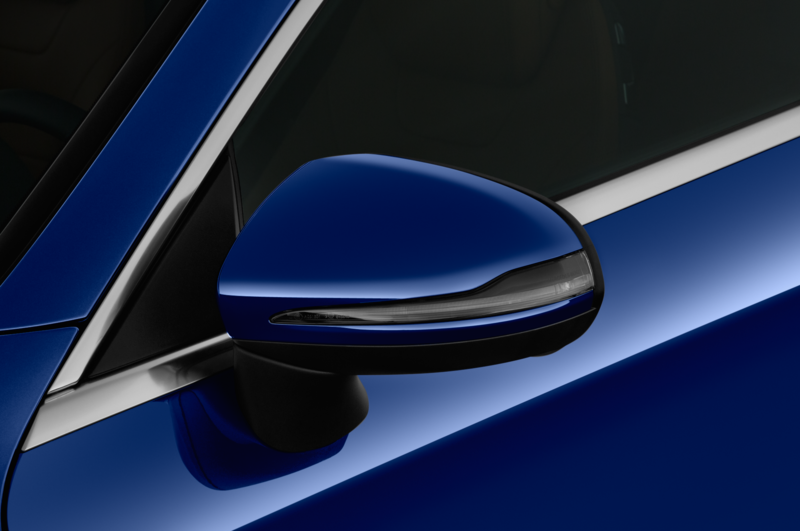 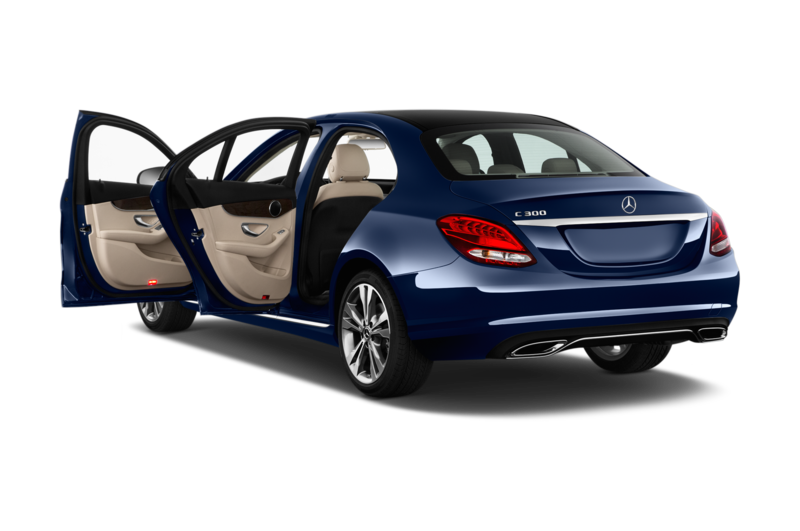 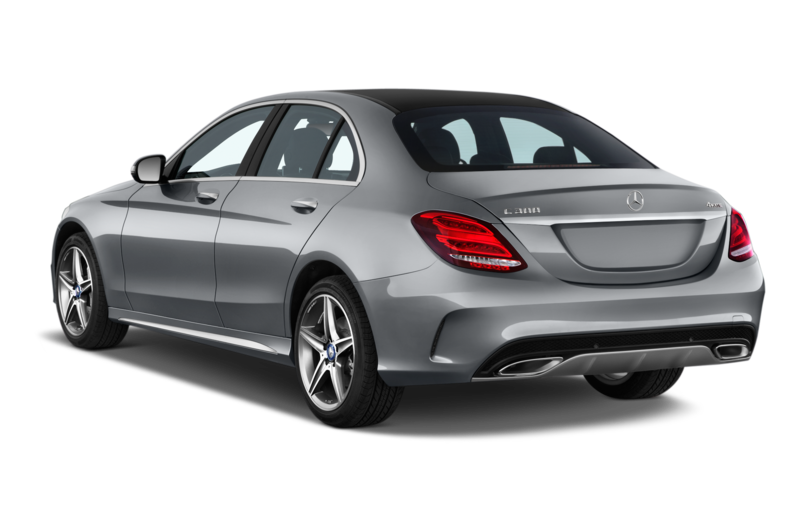 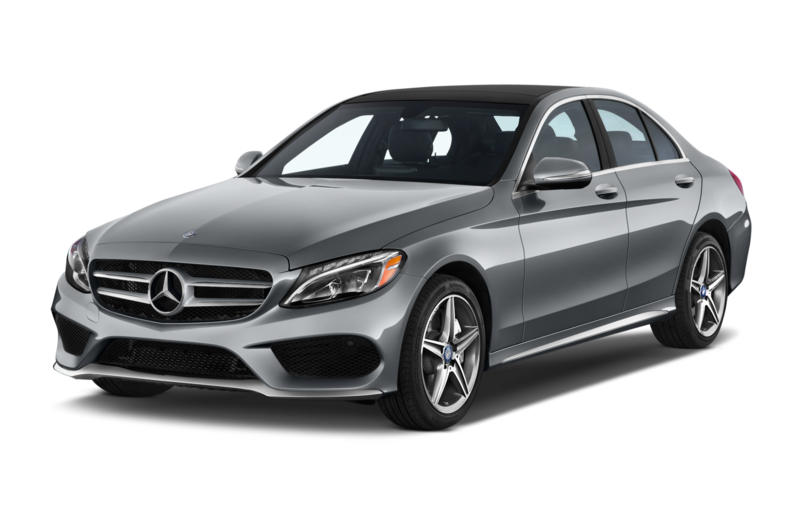 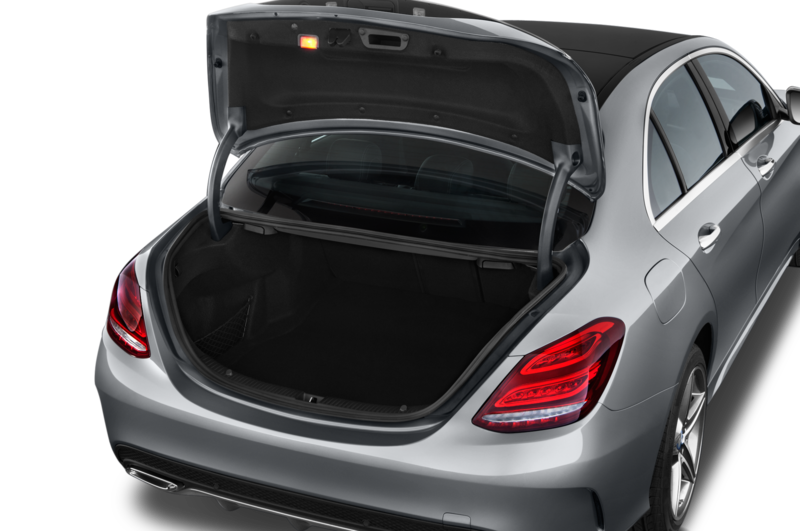 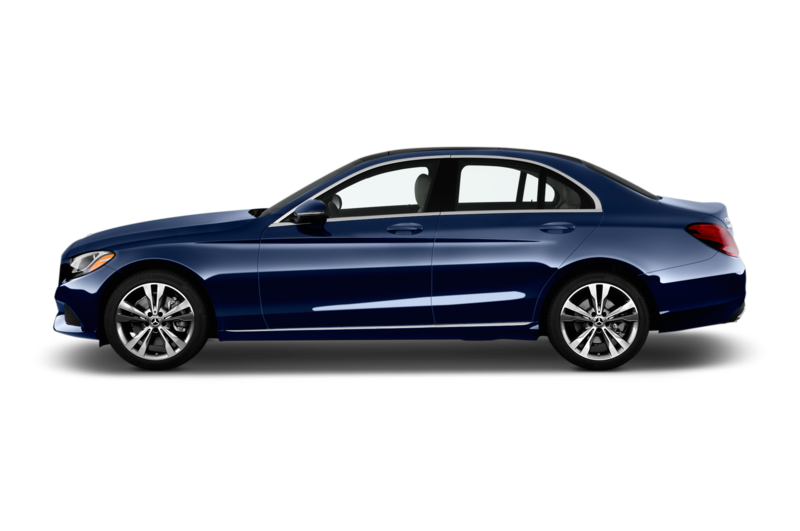 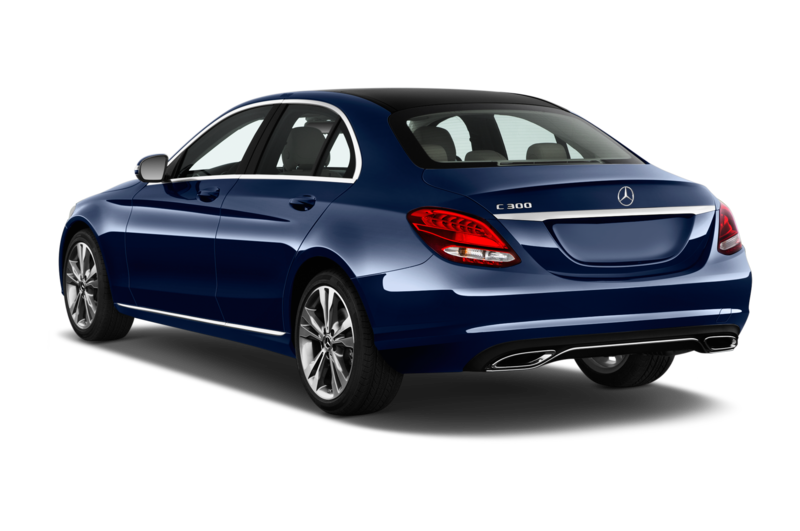 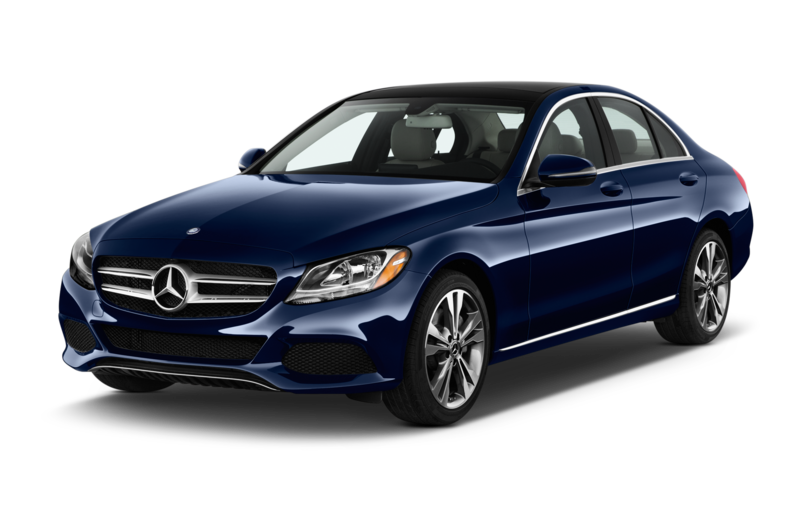 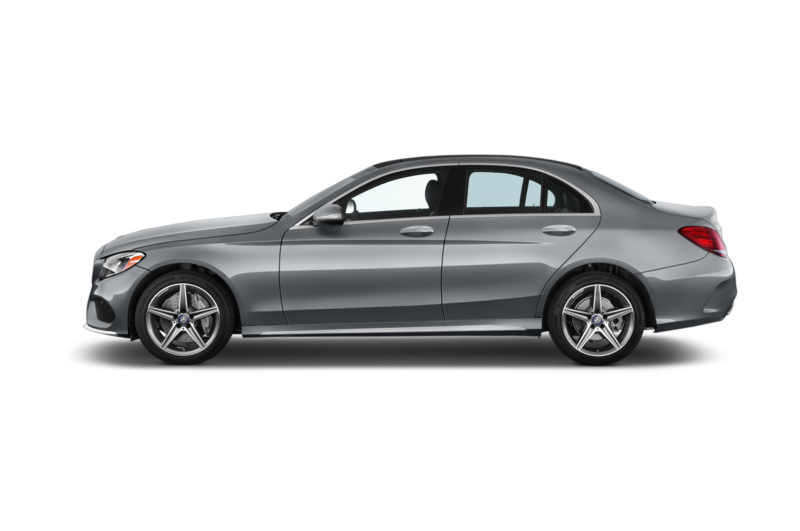 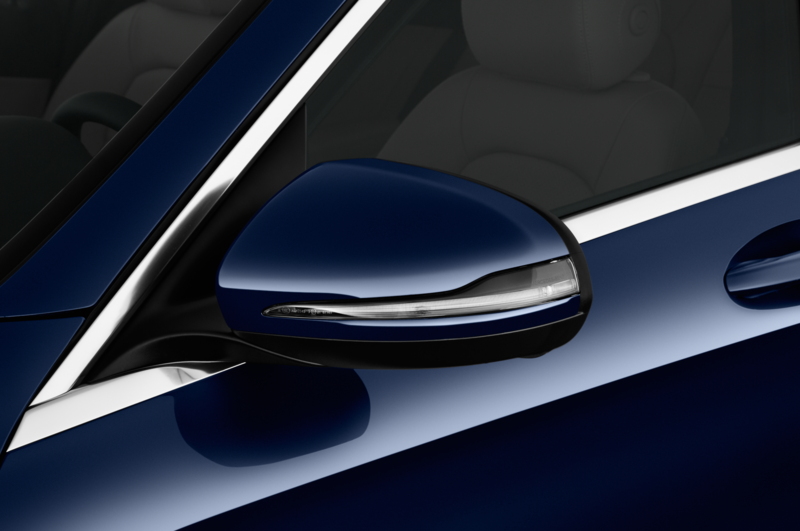 Pricing has yet to be announced, but with the C450/C43 sedan listing for $51,725 and C-Class Coupes typically costing only a little more than sedans, expect a sticker somewhere in the low-$50,000 range.